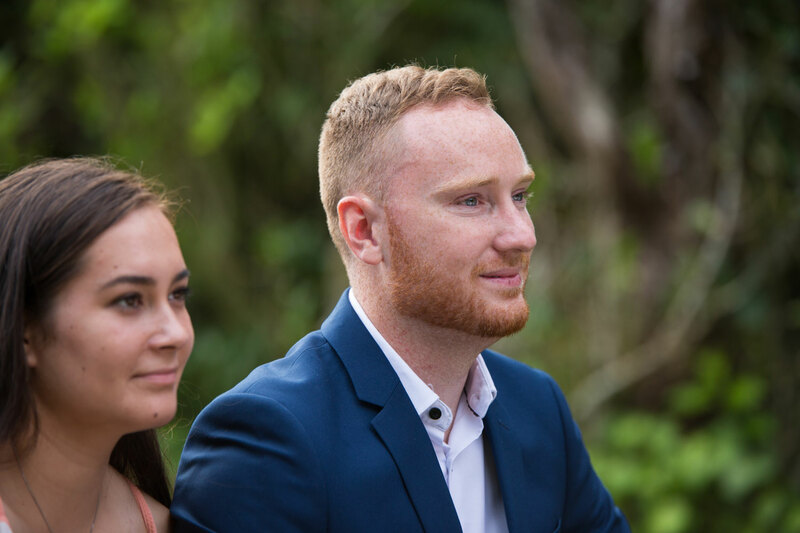 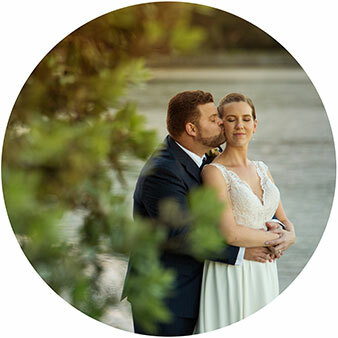 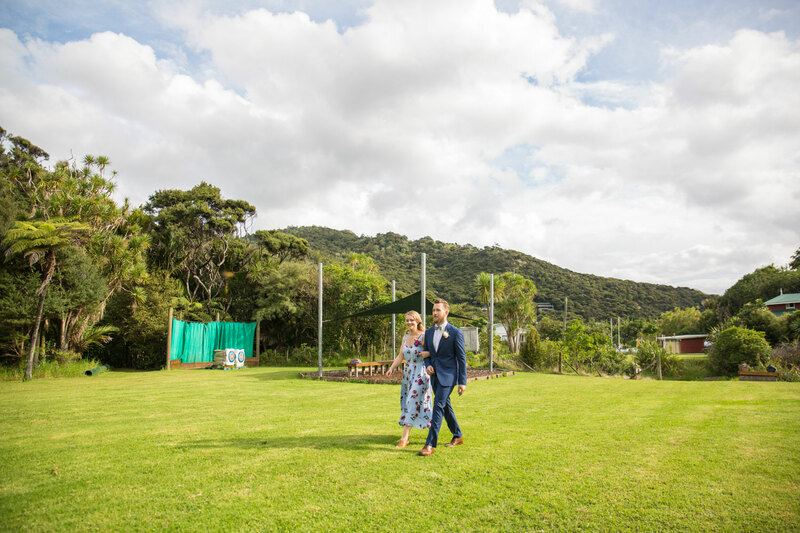 When Sarah and Luke contacted me to potentially photograph their wedding, they were still based in the US and had planned to get married in Auckland (Luke’s hometown). 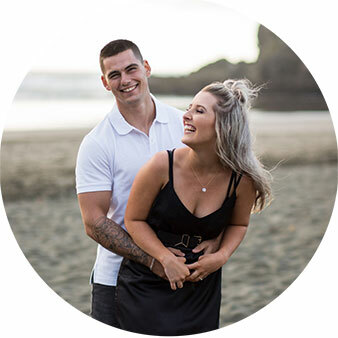 Fast forward a few months and we got to meet for the first time, on the day of their engagement shoot at Cornwall Park. 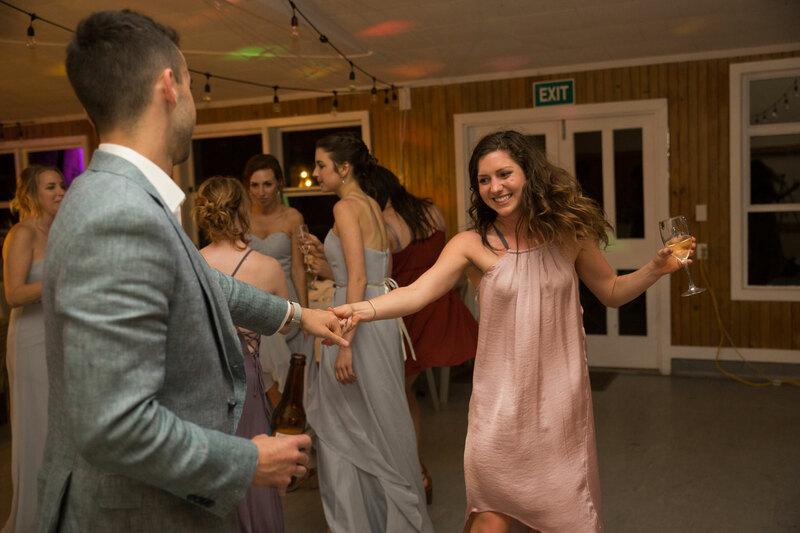 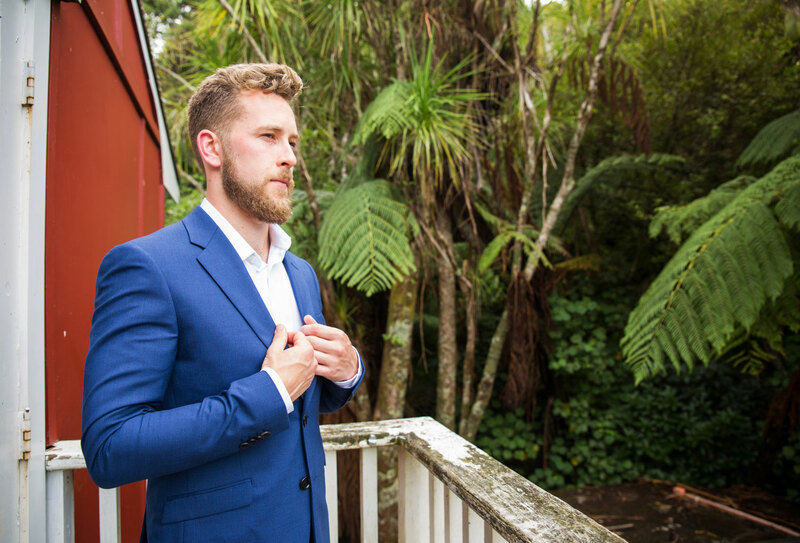 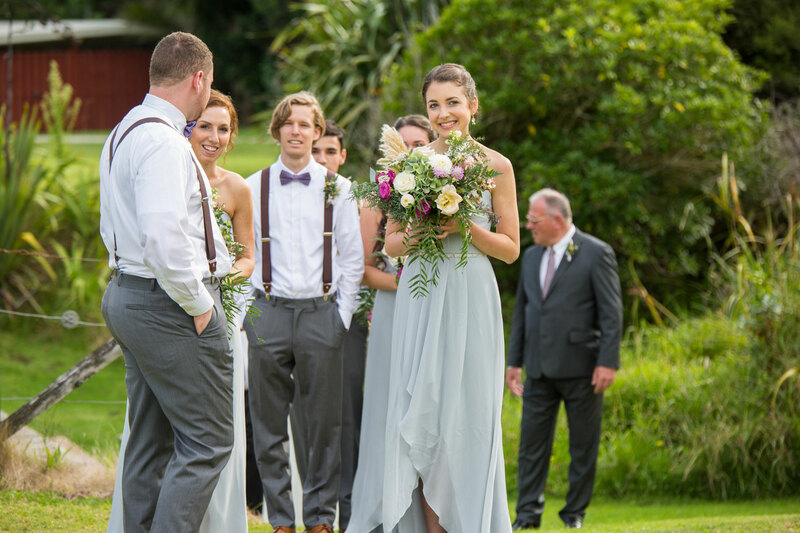 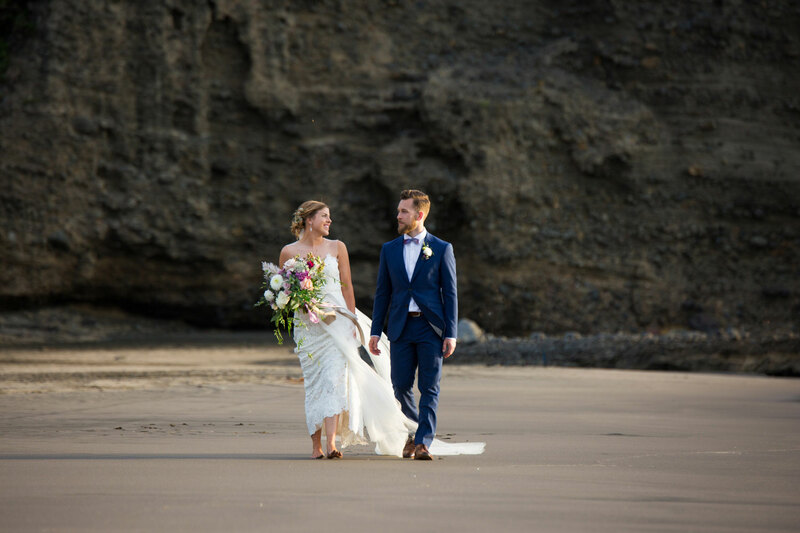 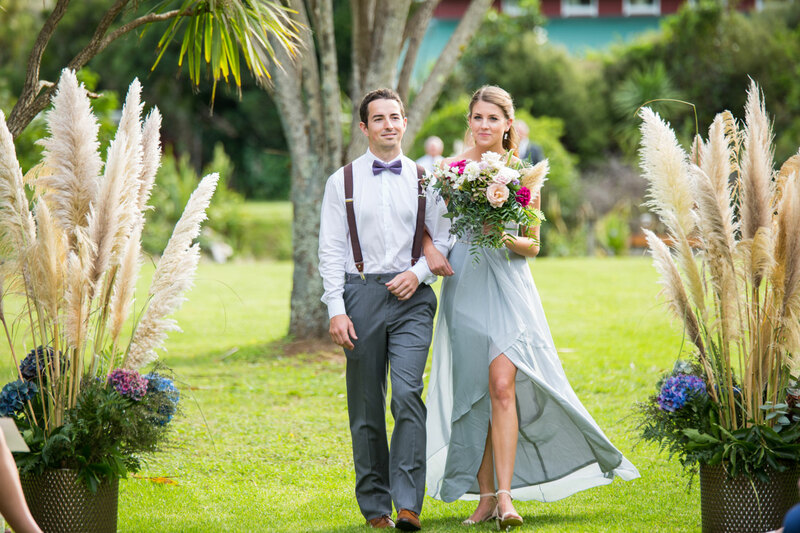 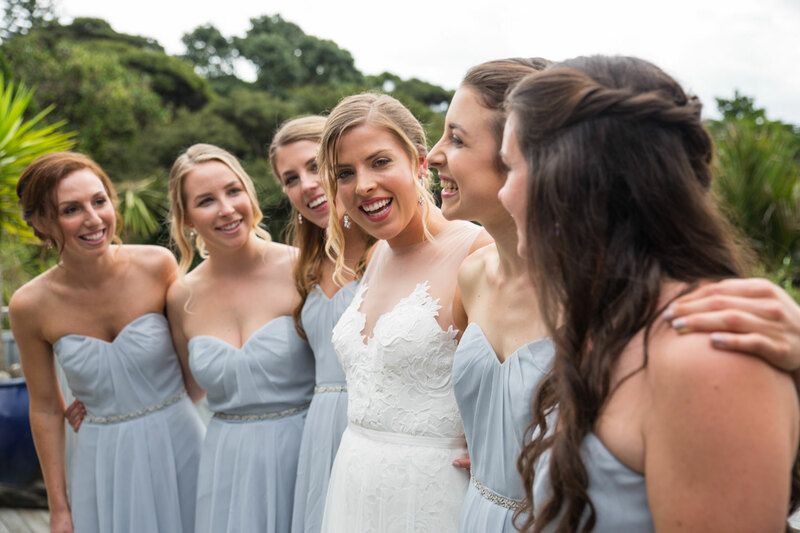 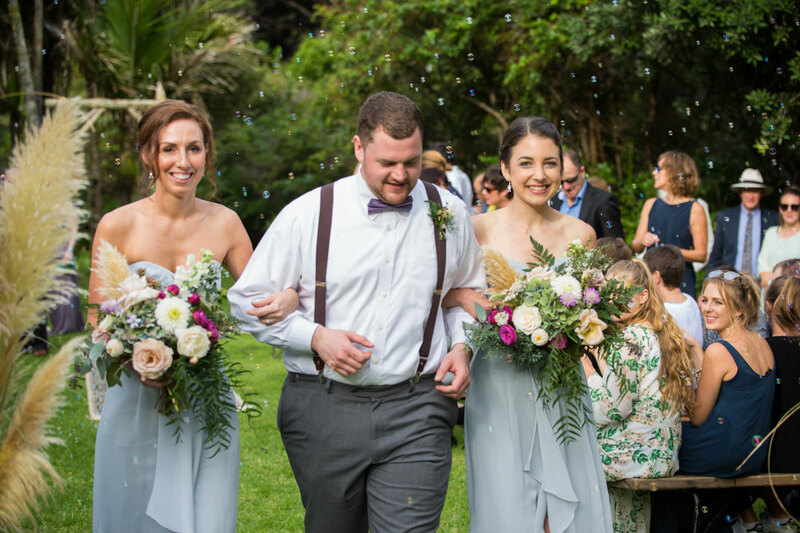 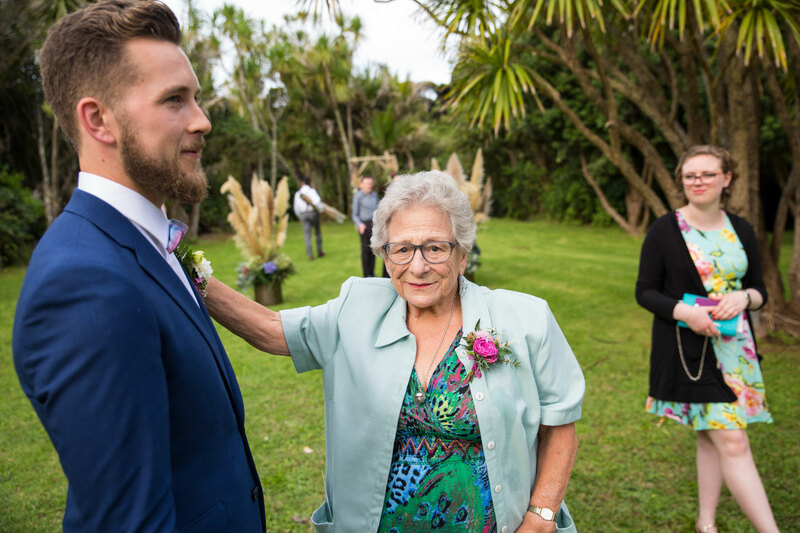 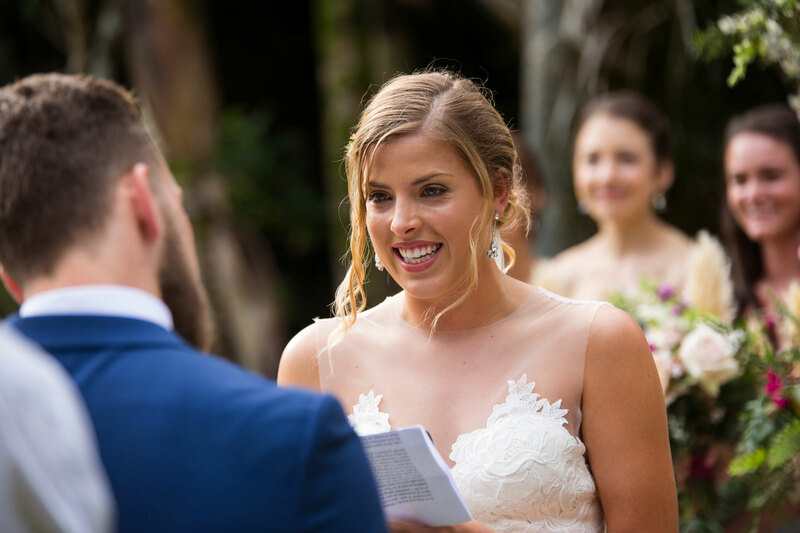 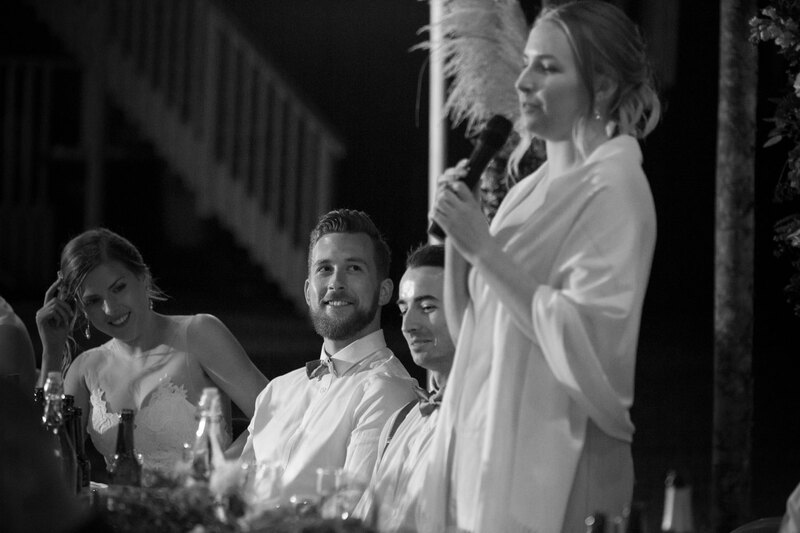 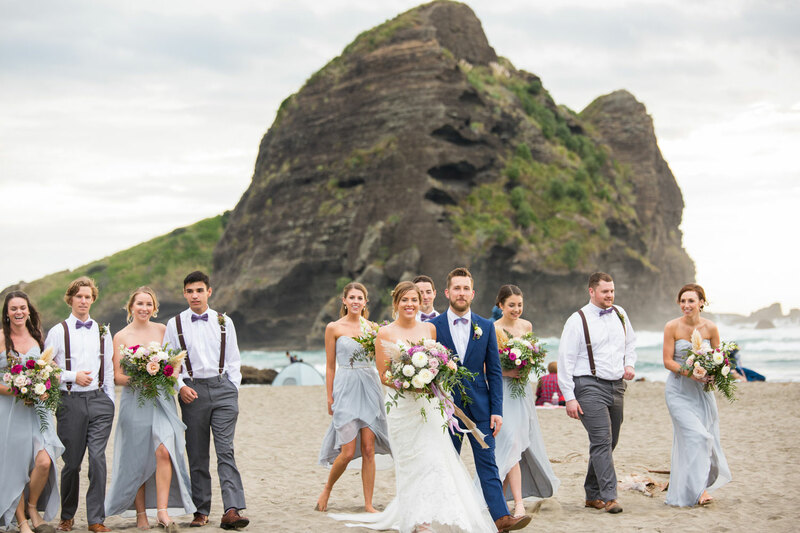 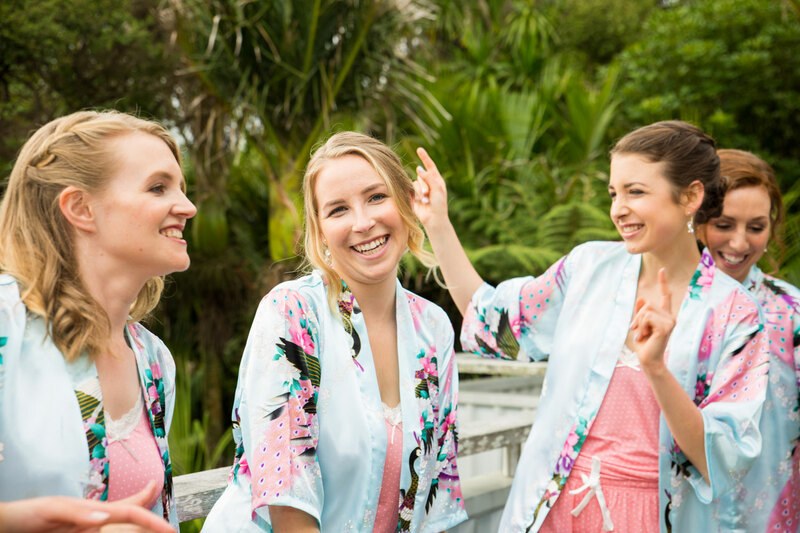 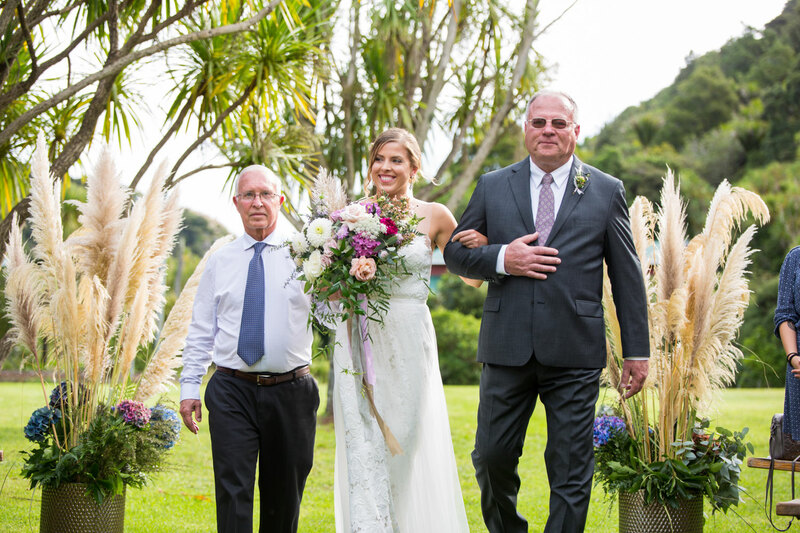 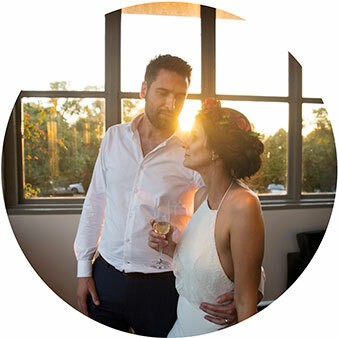 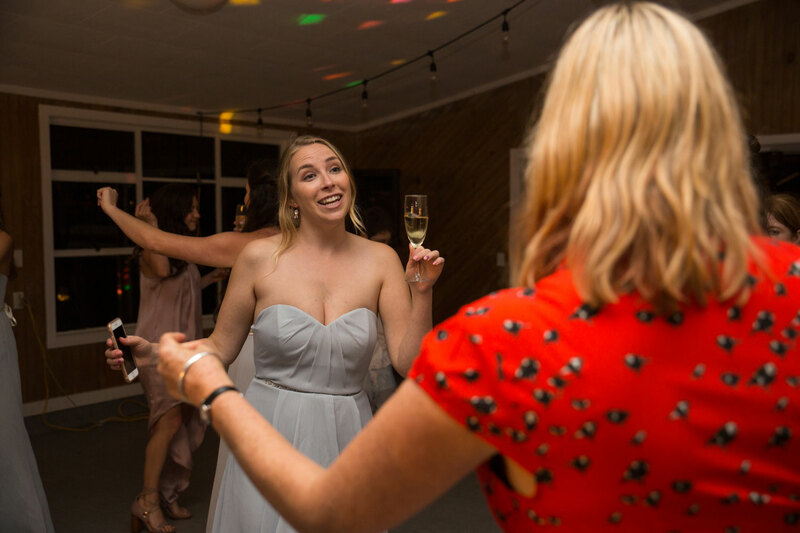 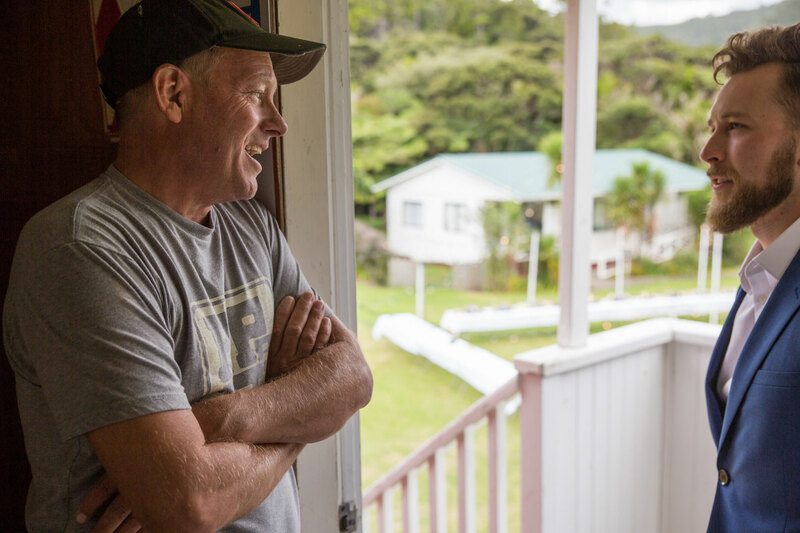 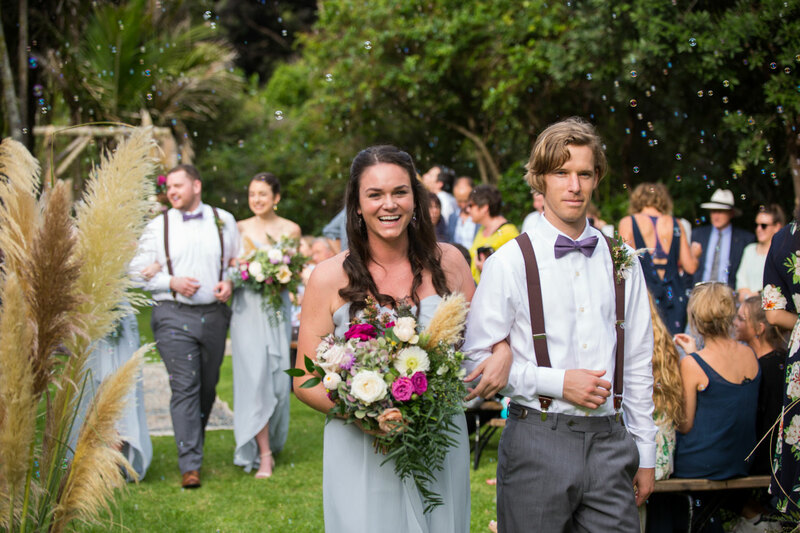 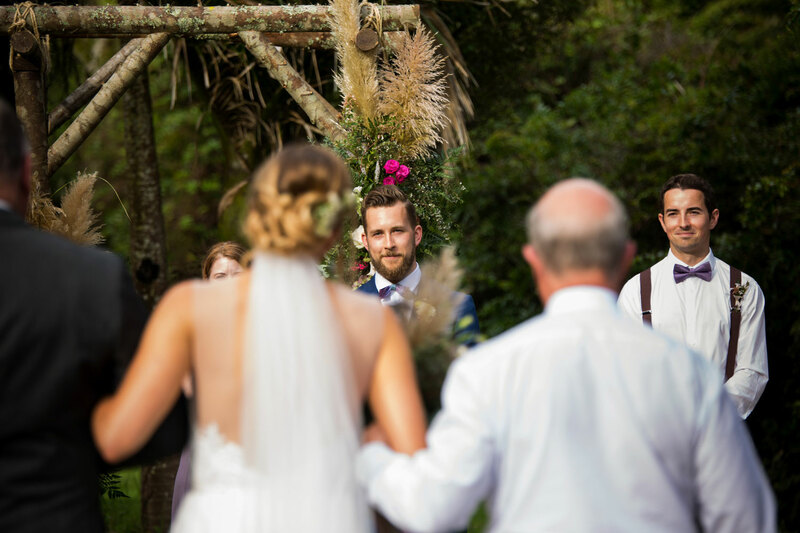 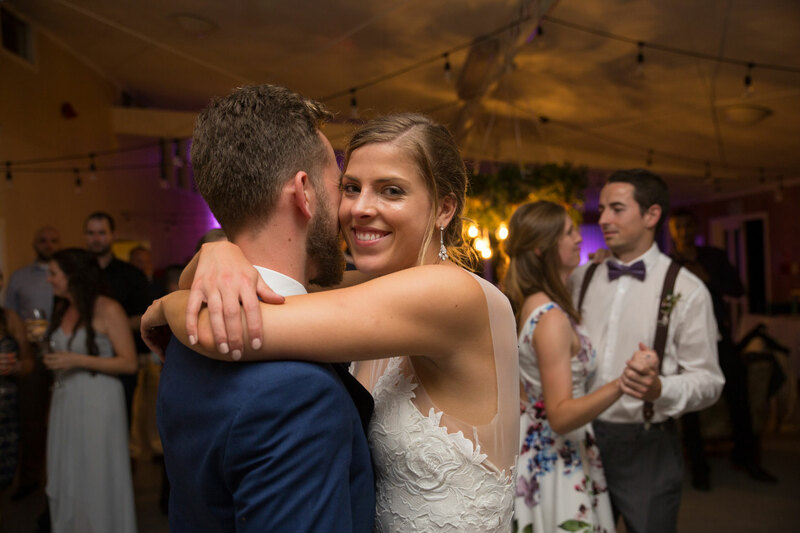 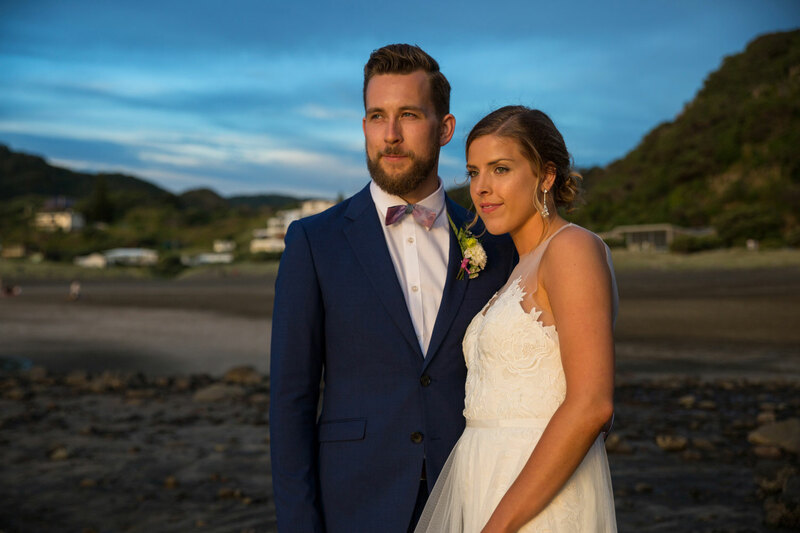 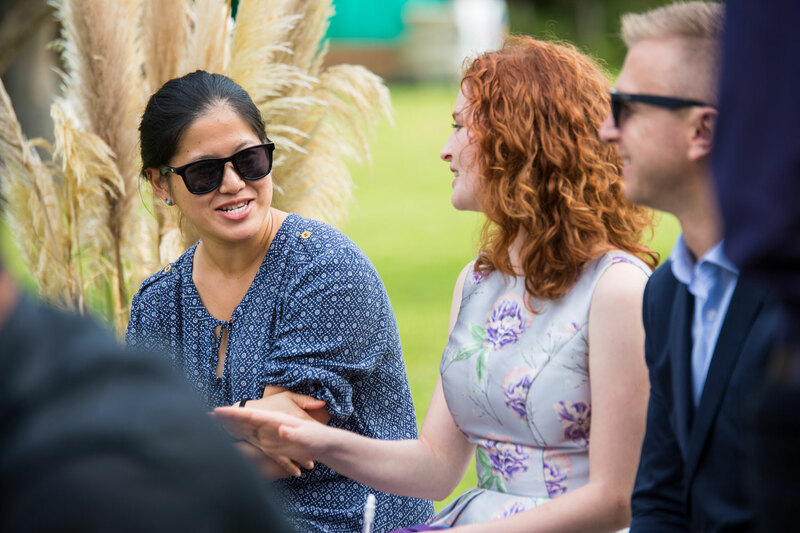 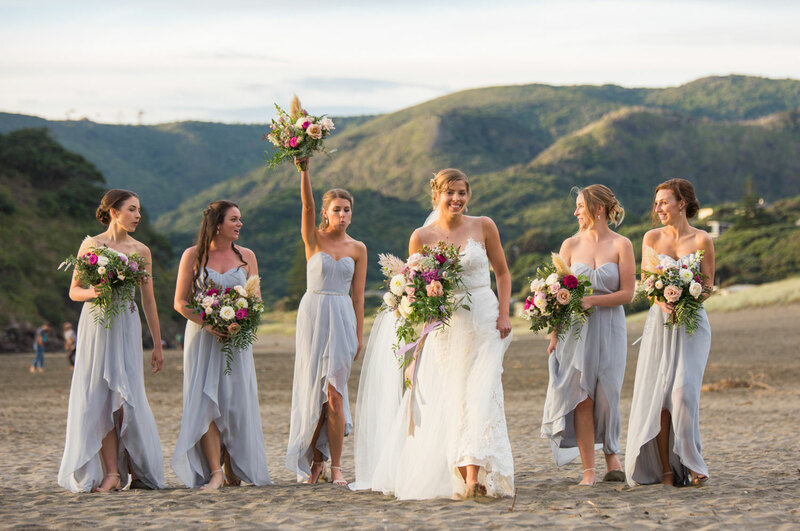 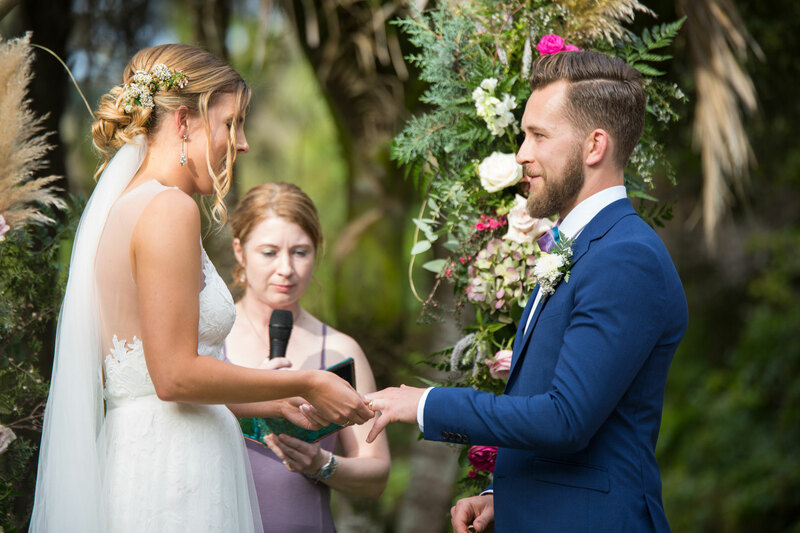 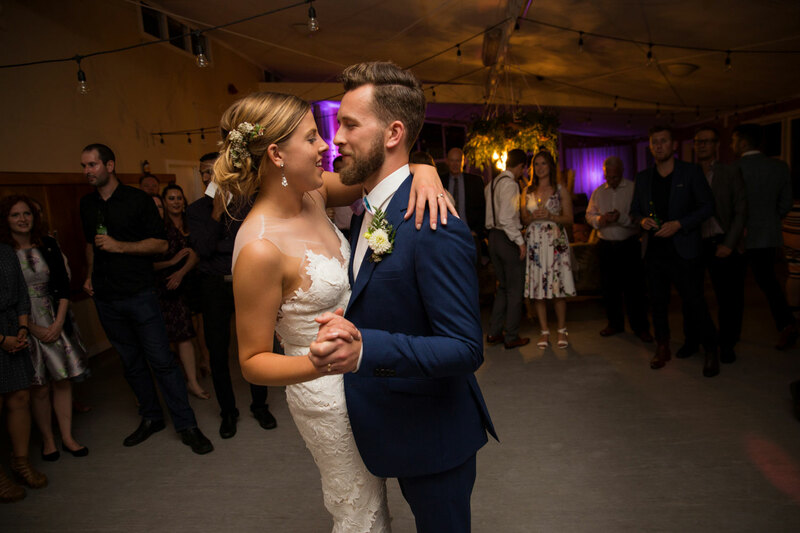 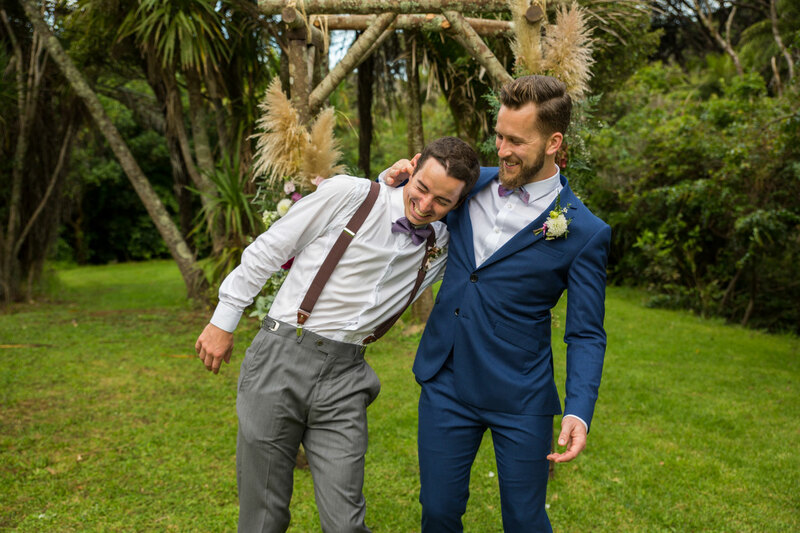 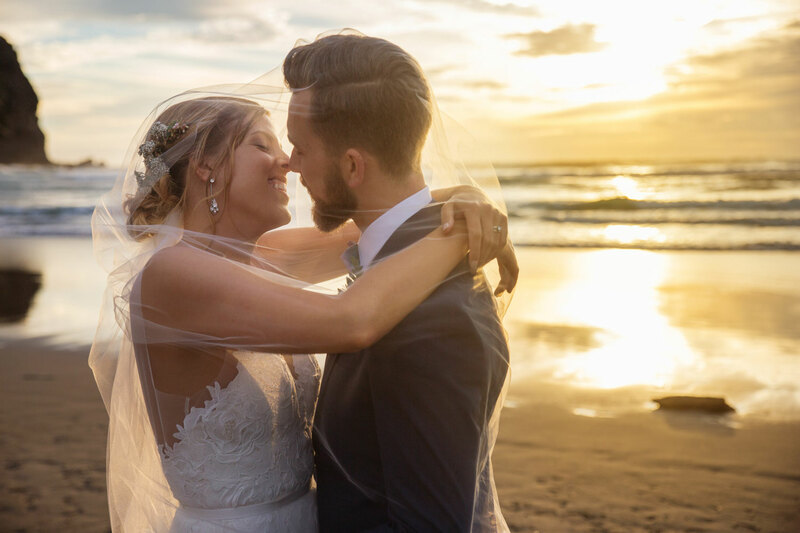 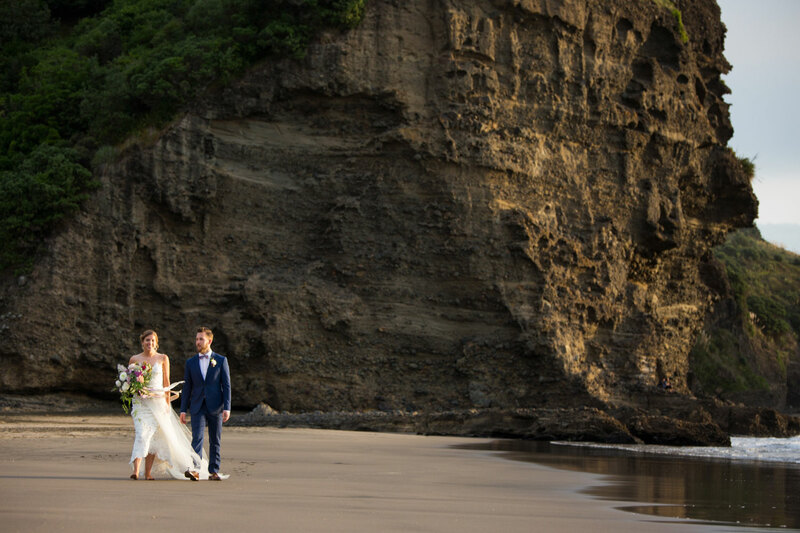 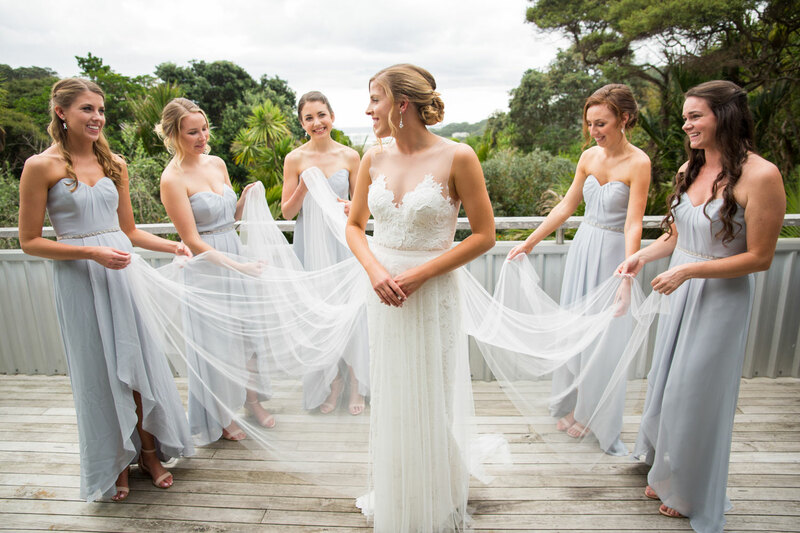 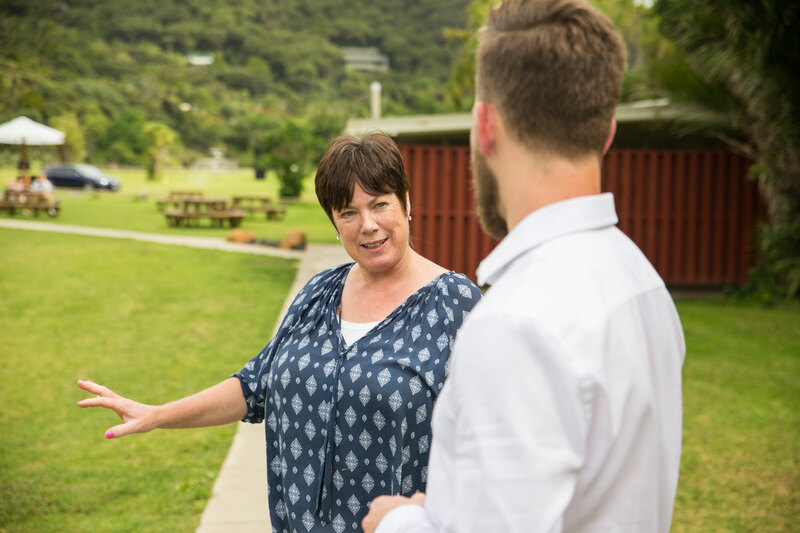 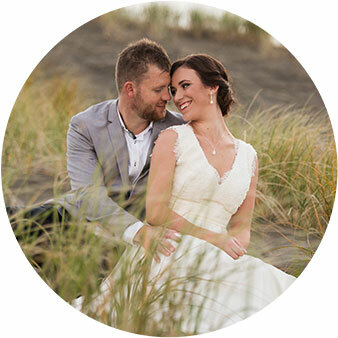 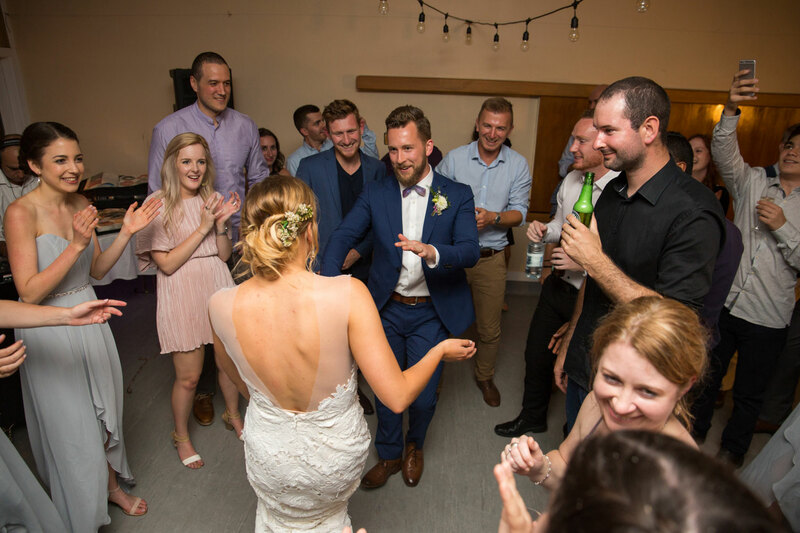 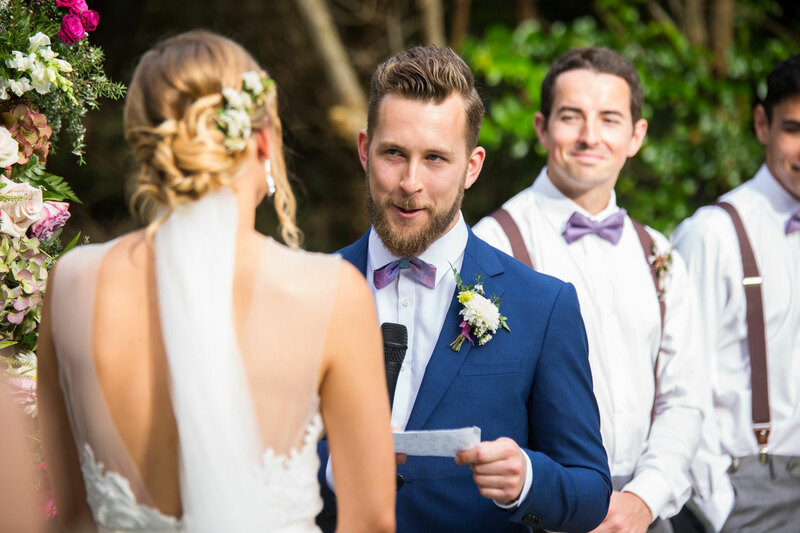 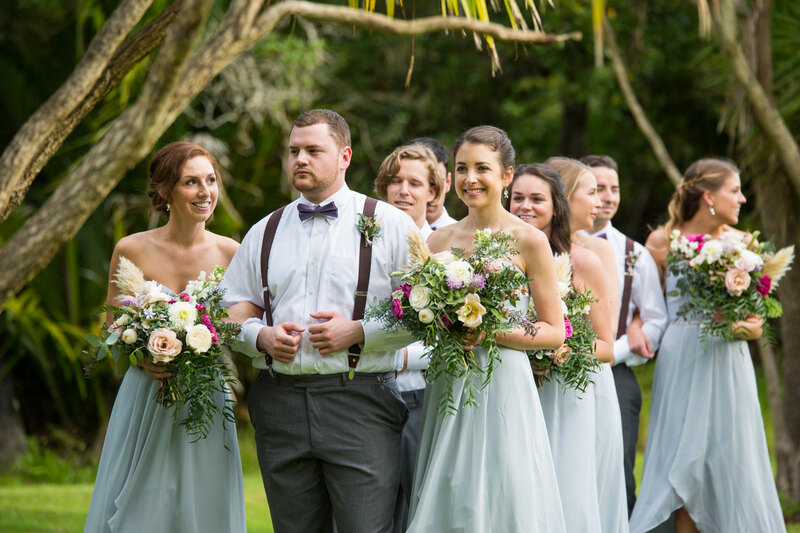 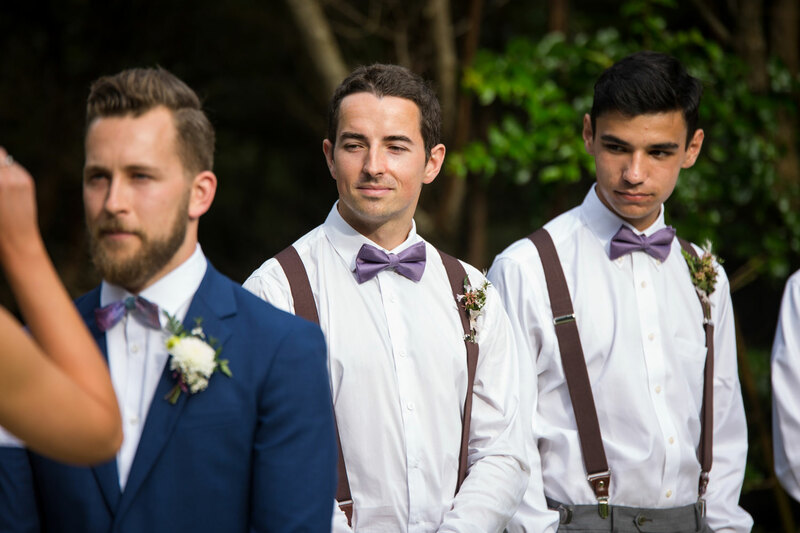 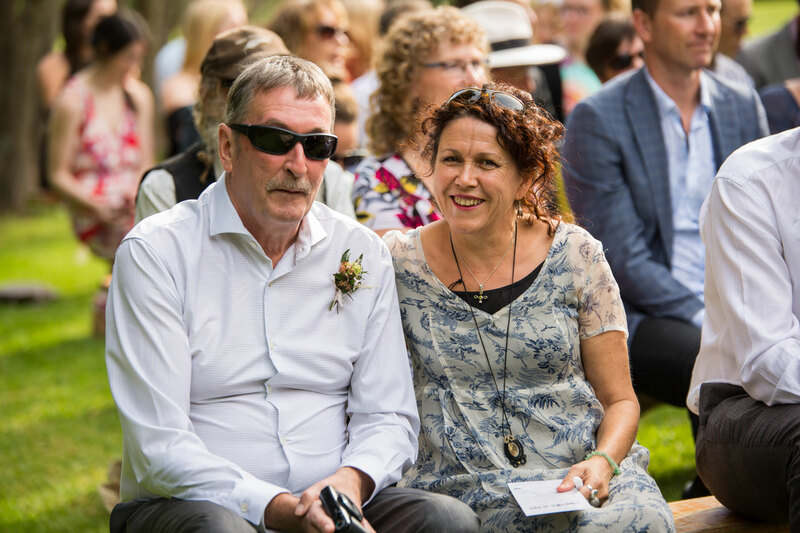 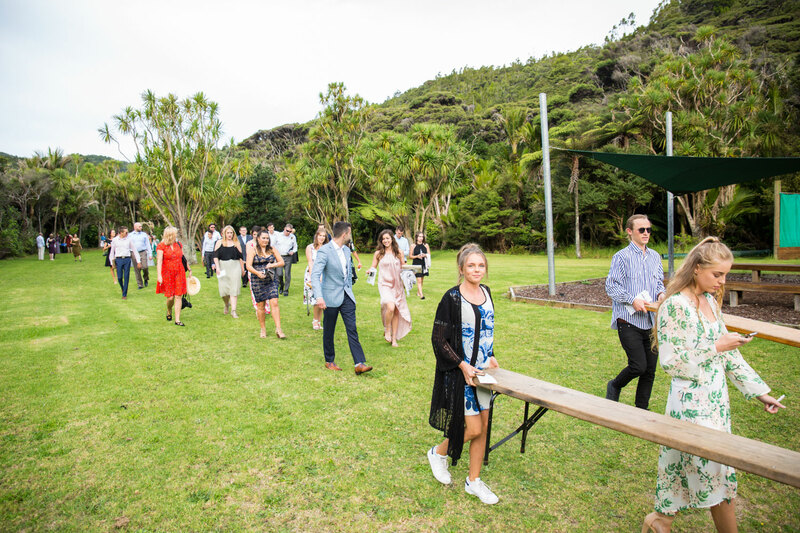 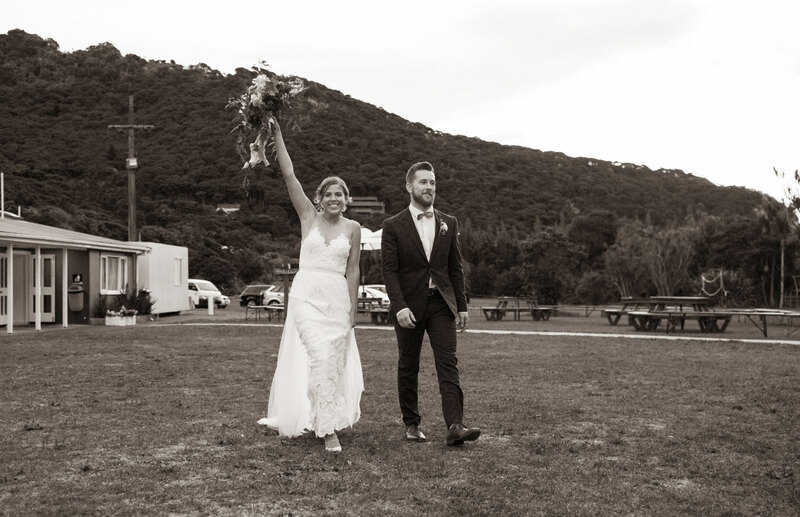 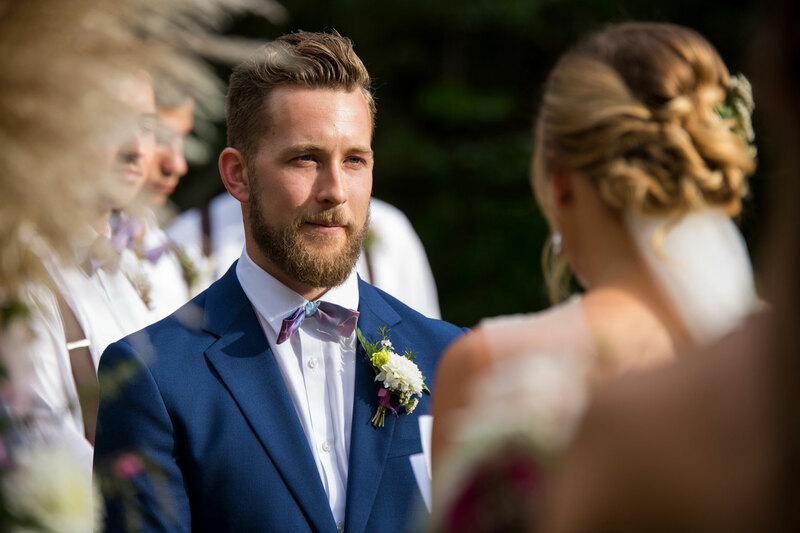 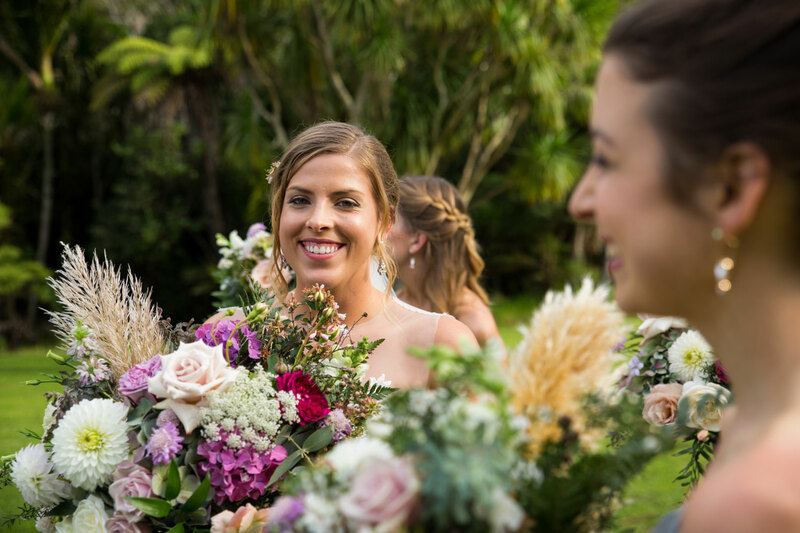 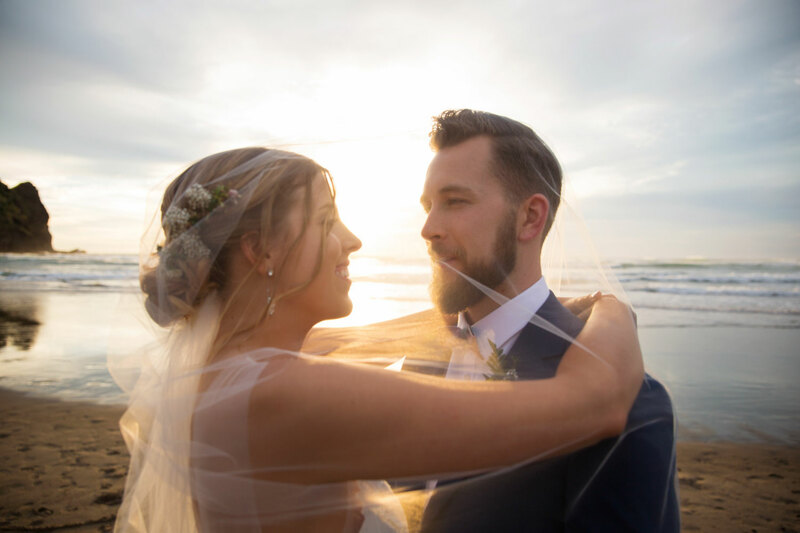 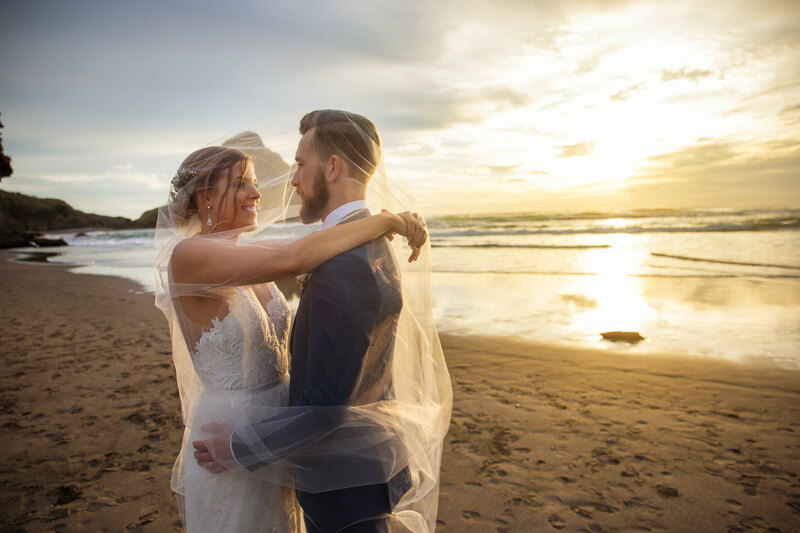 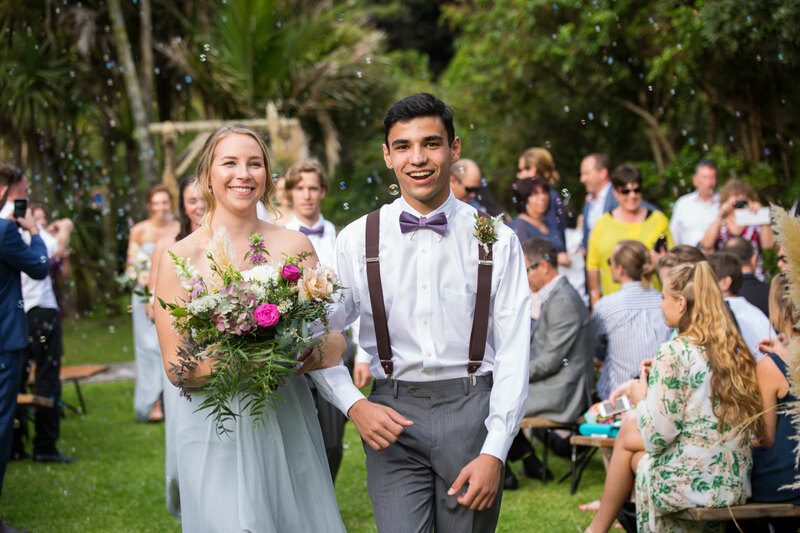 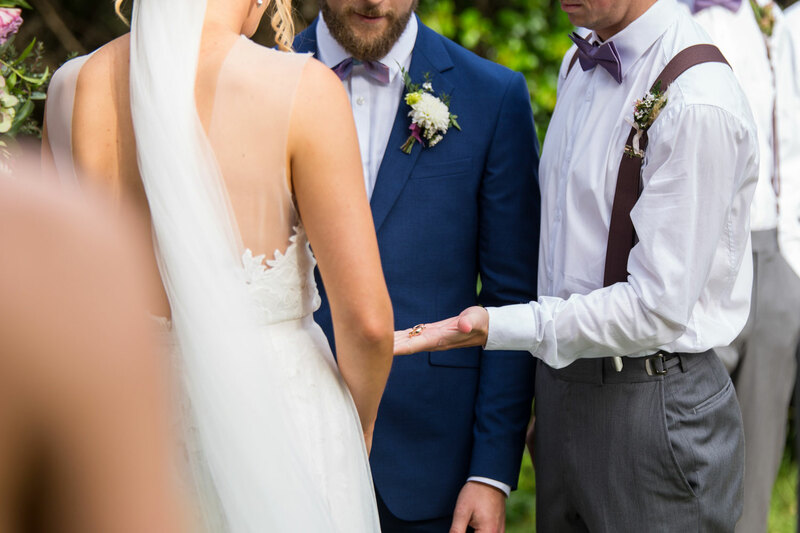 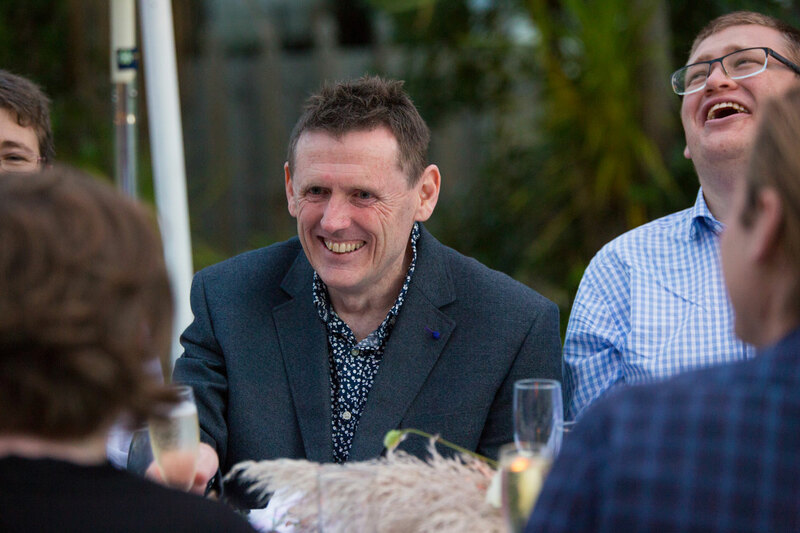 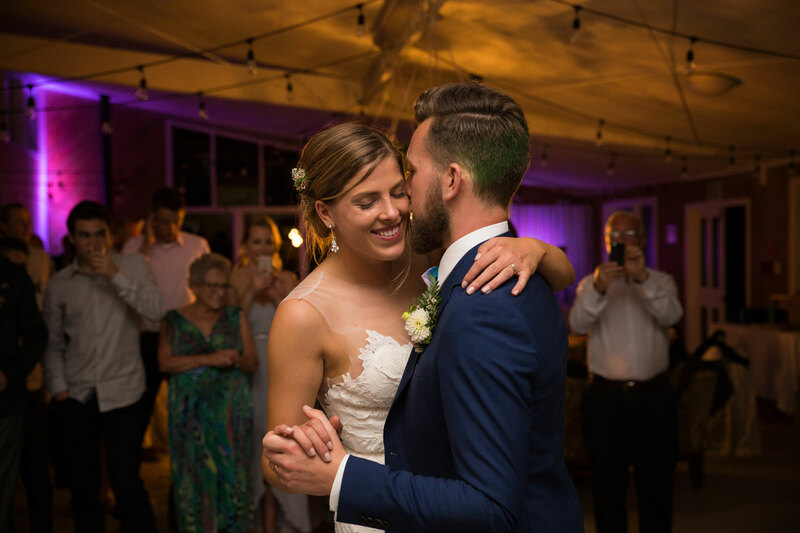 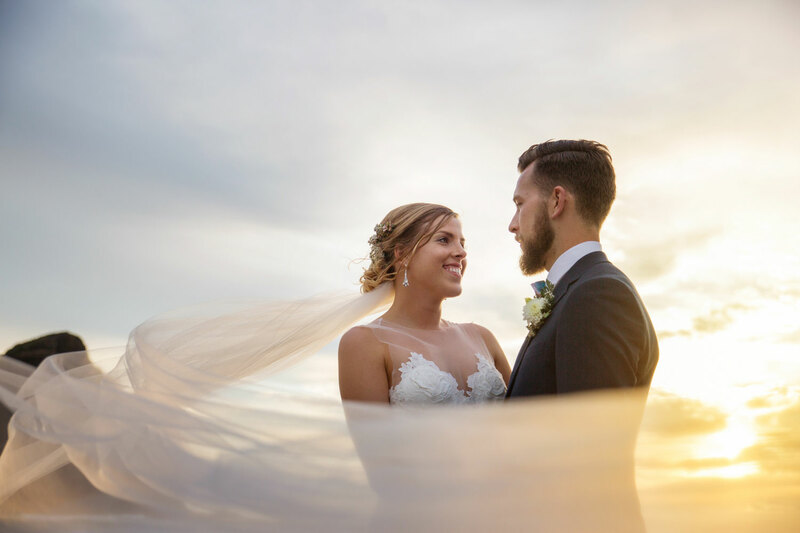 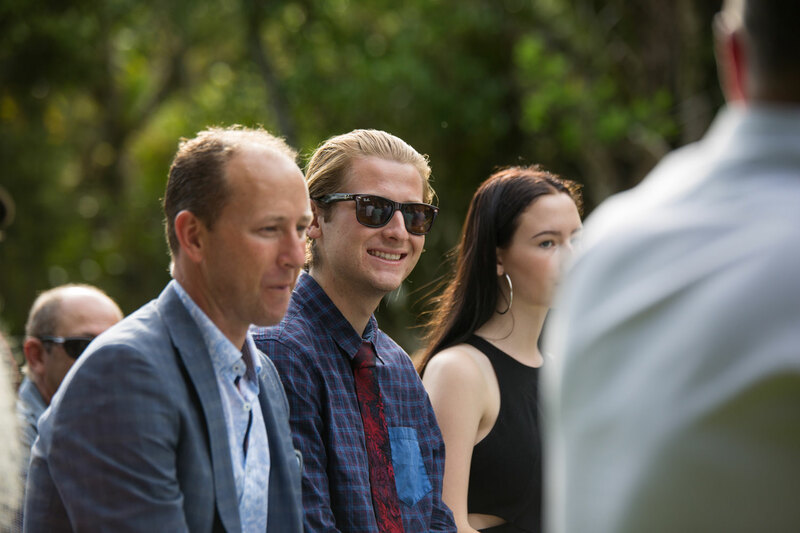 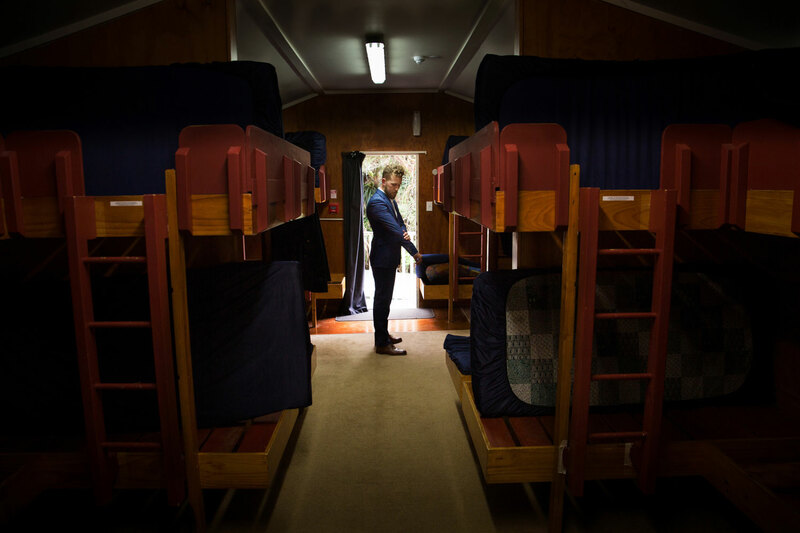 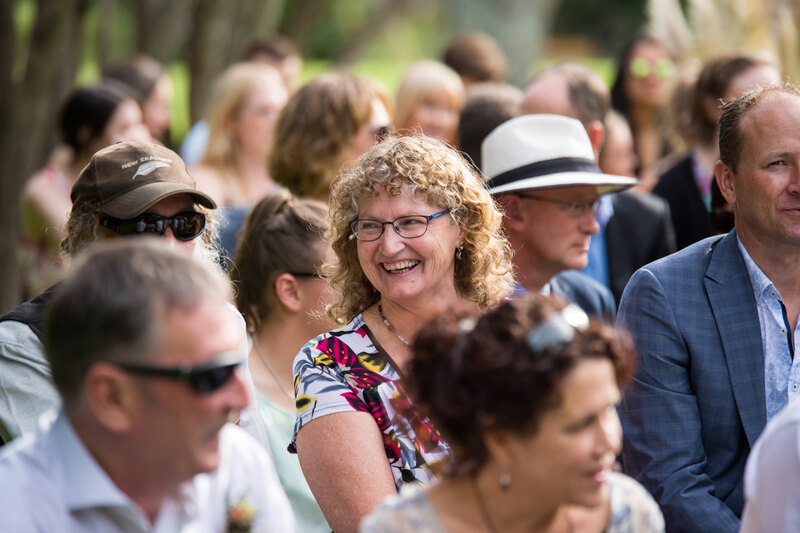 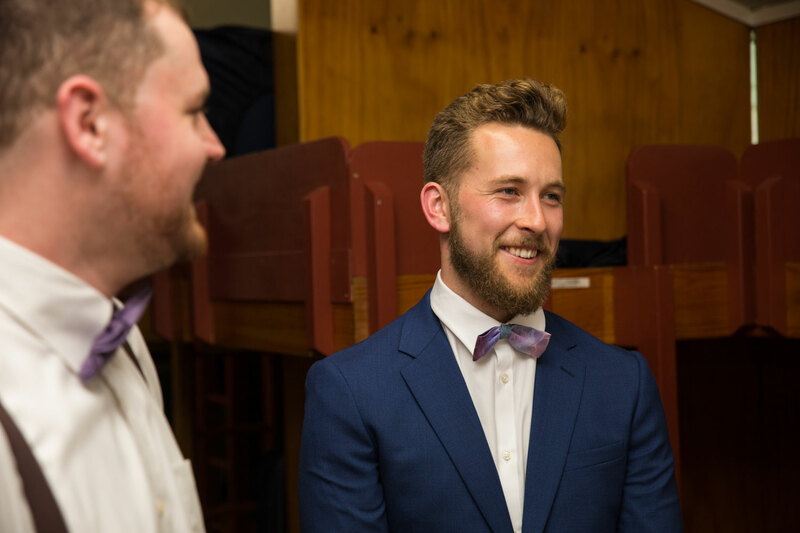 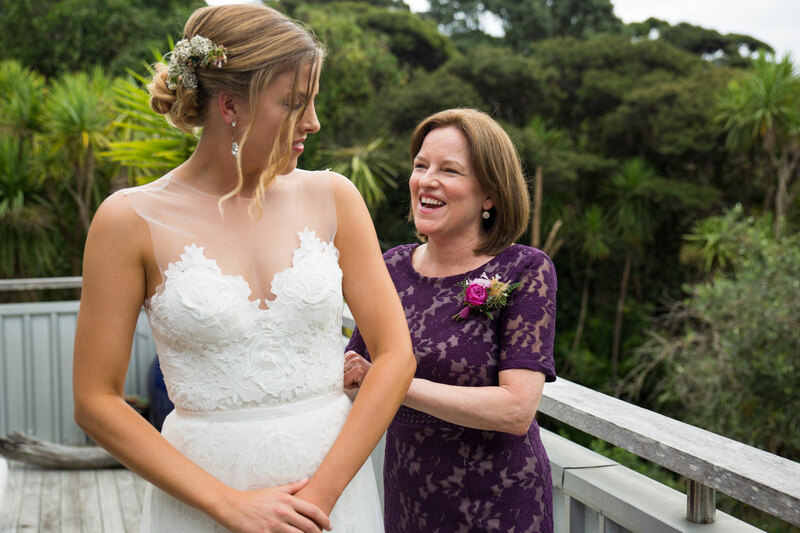 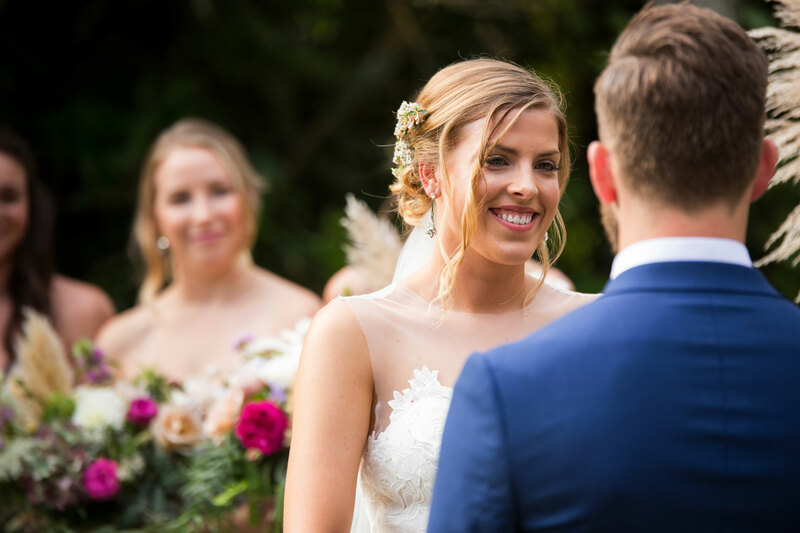 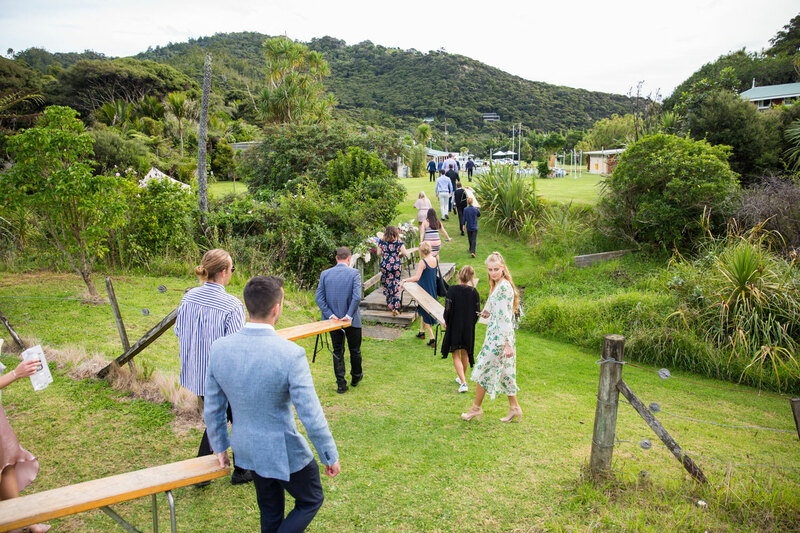 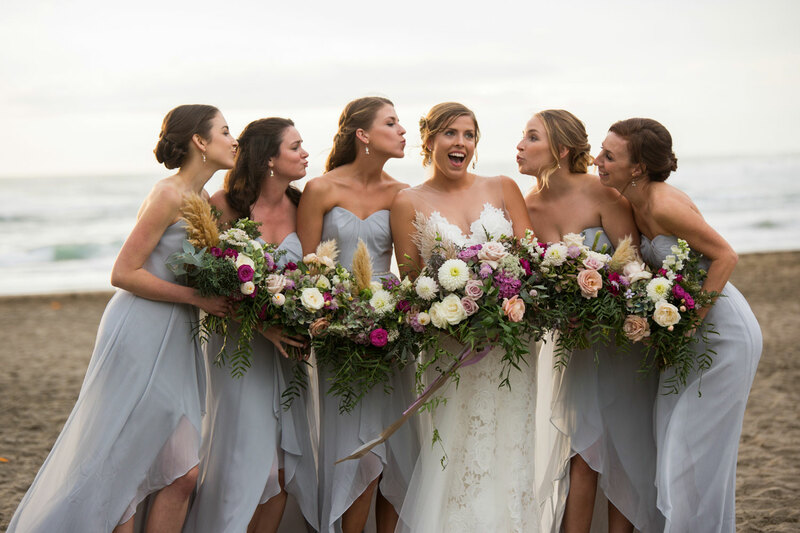 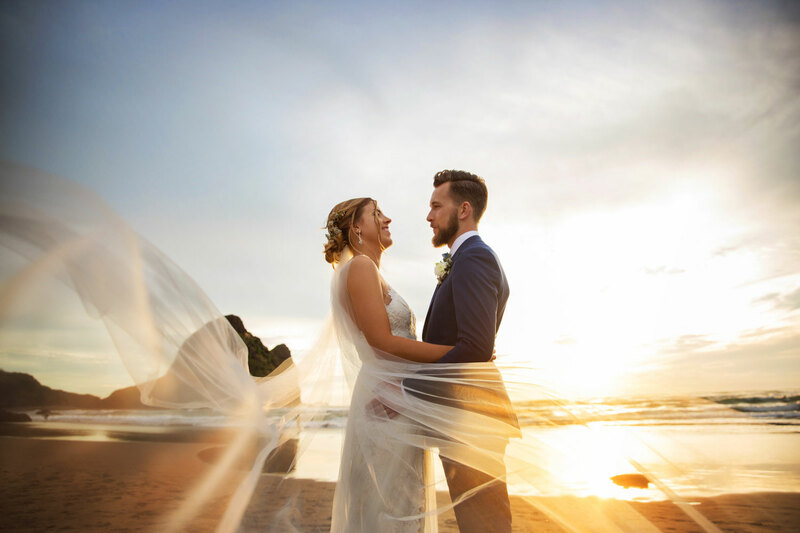 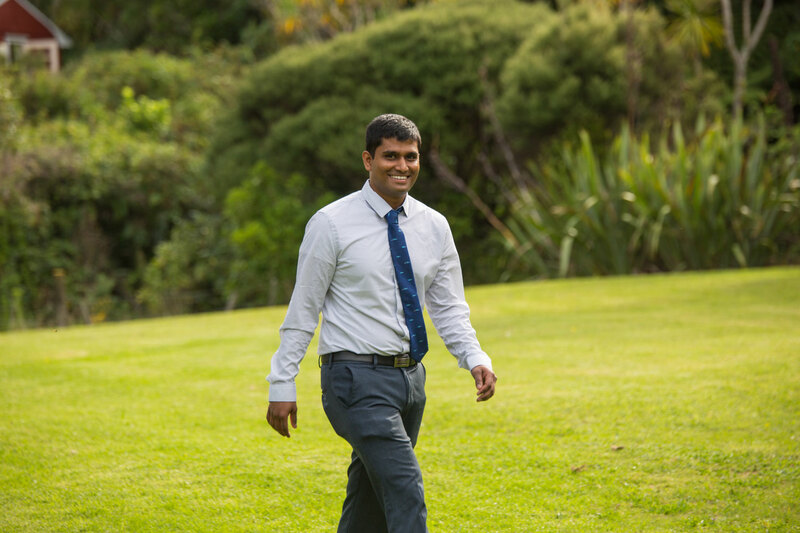 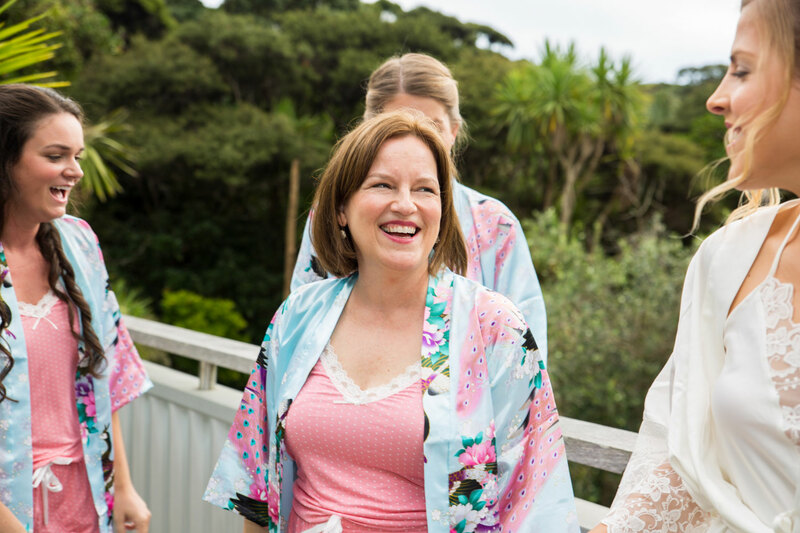 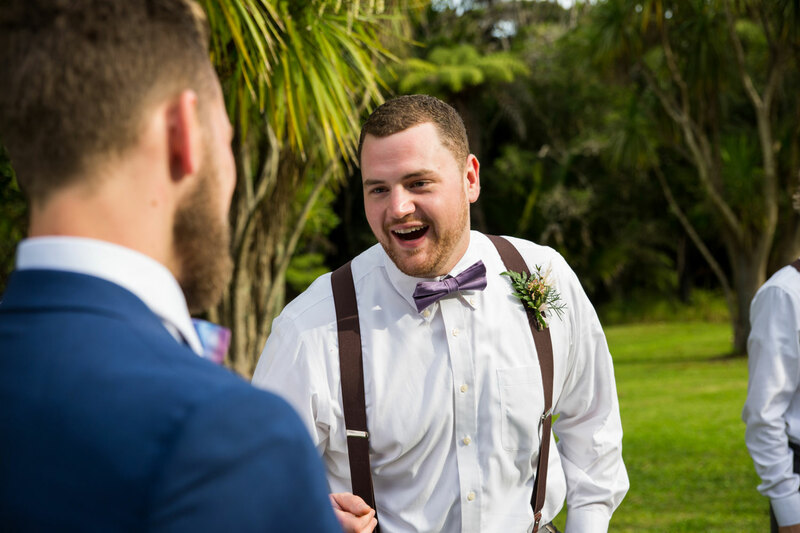 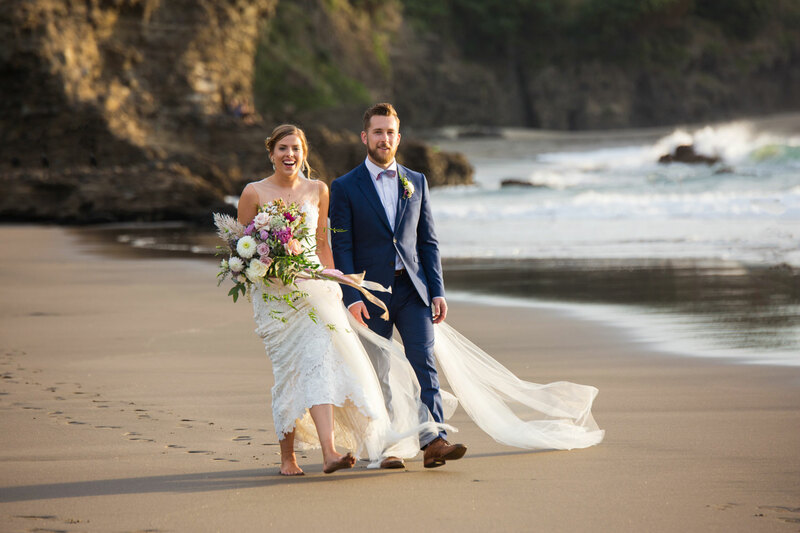 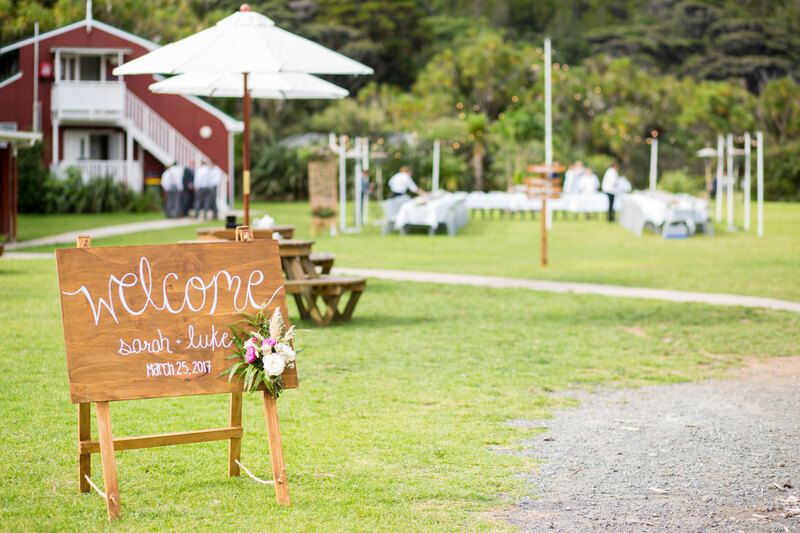 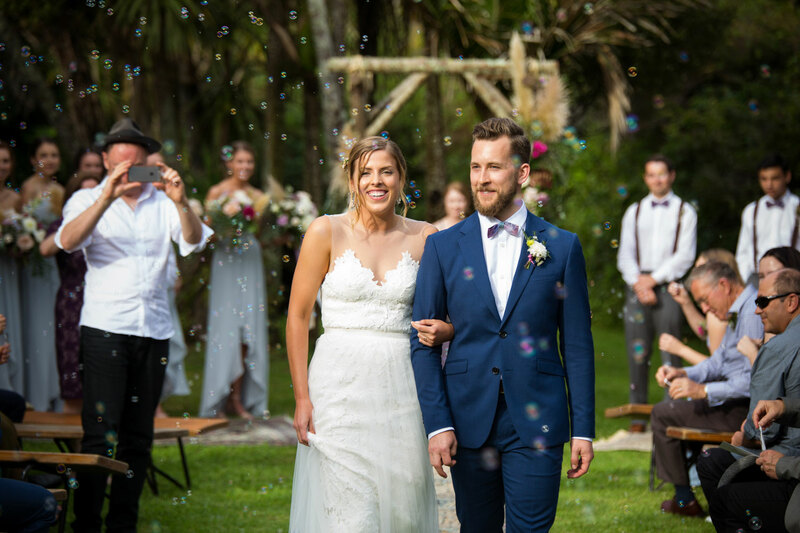 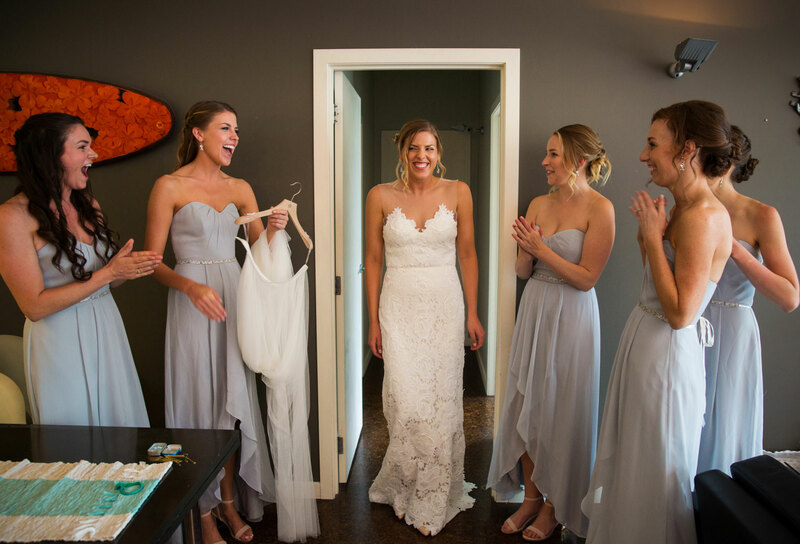 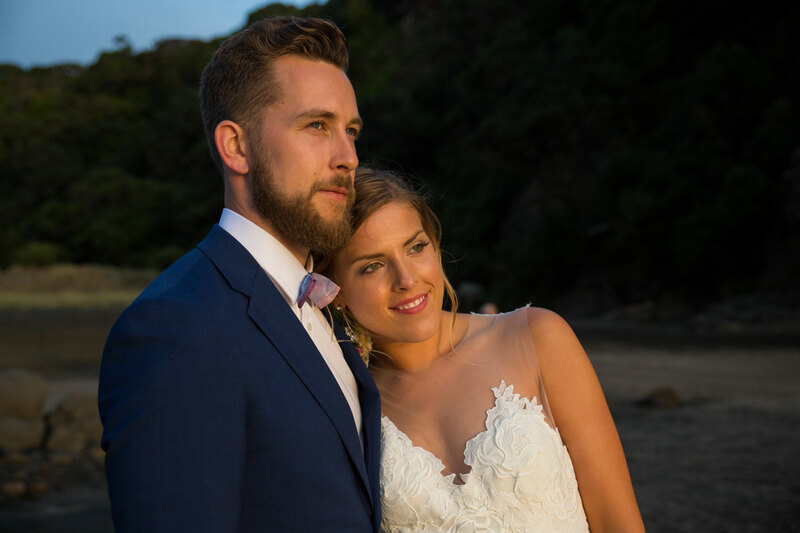 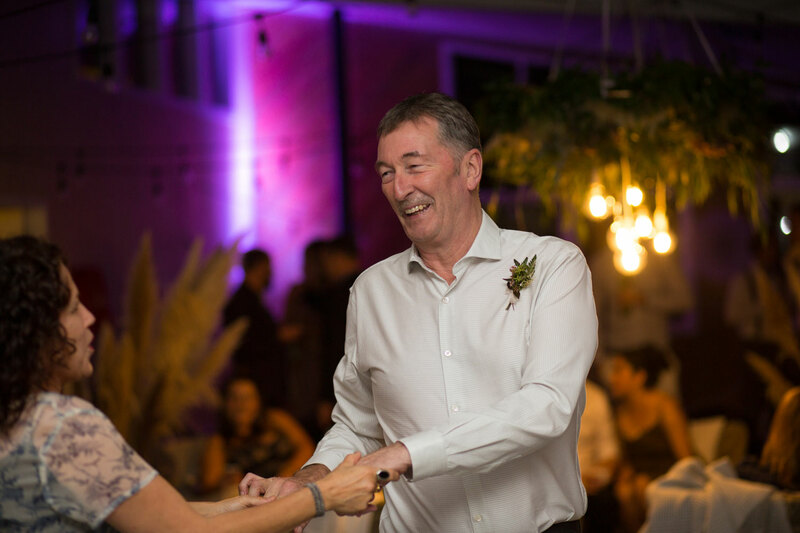 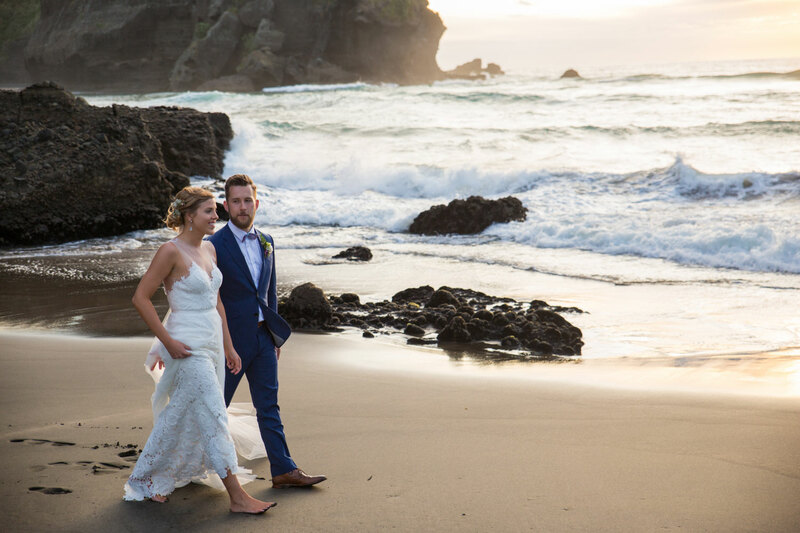 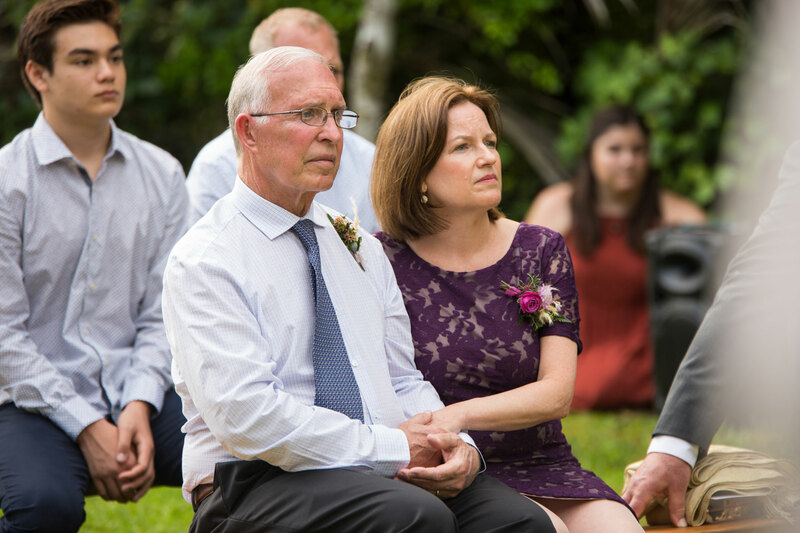 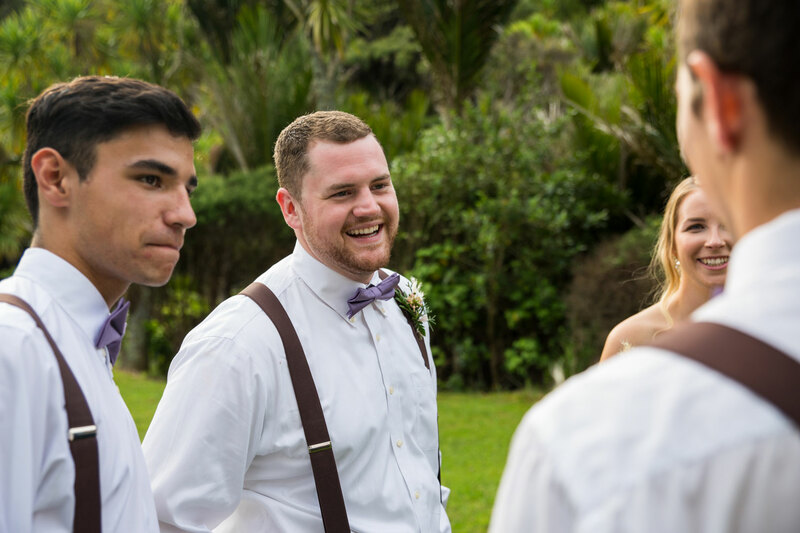 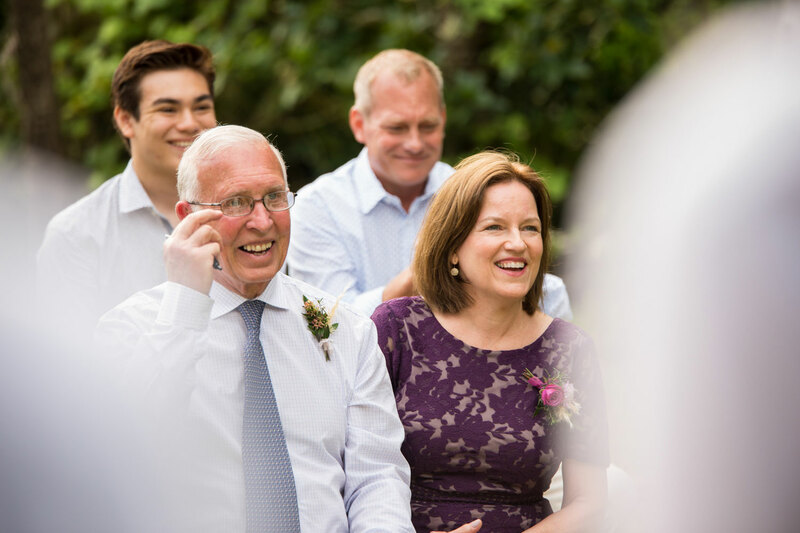 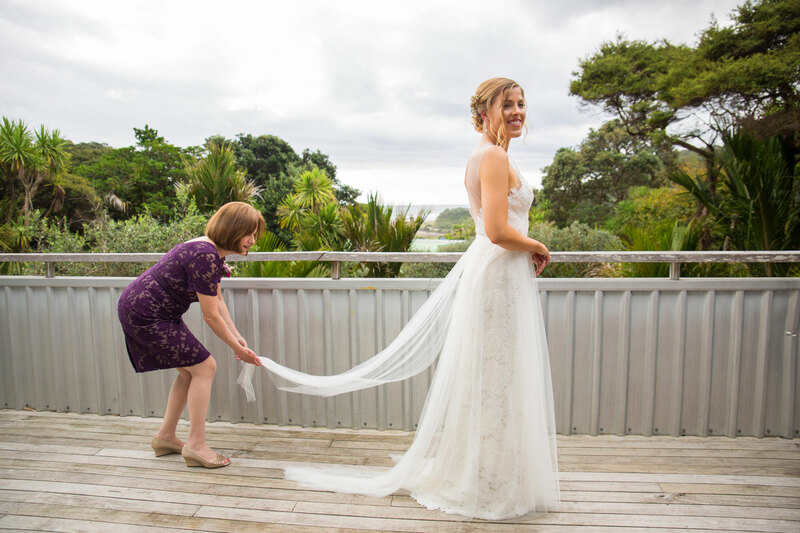 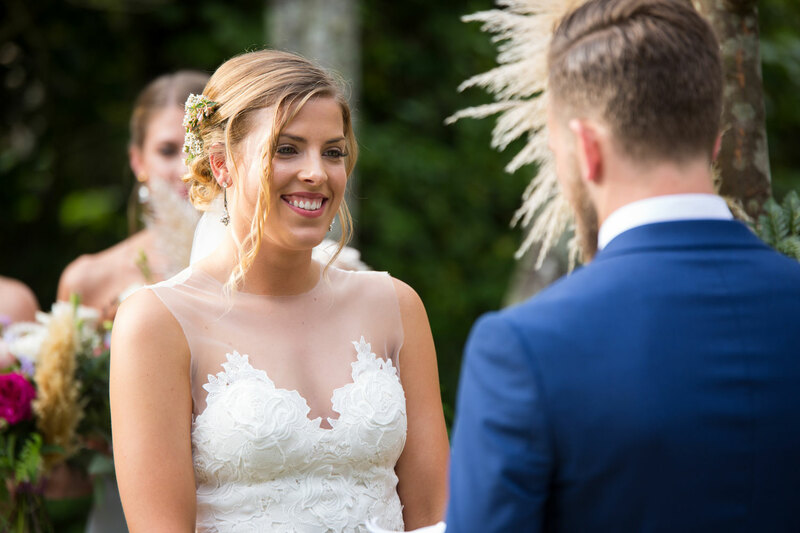 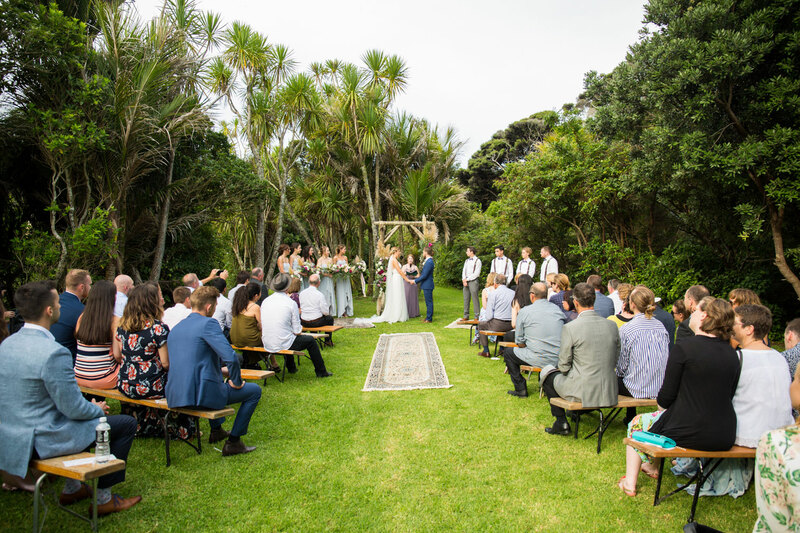 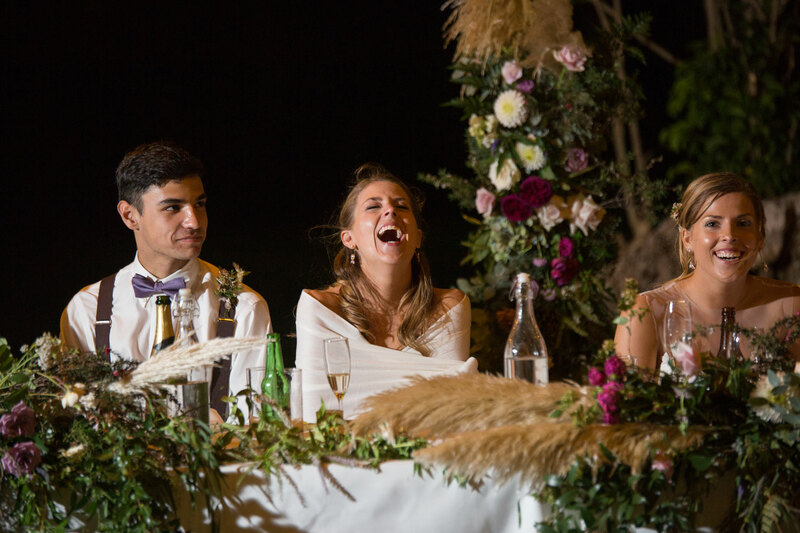 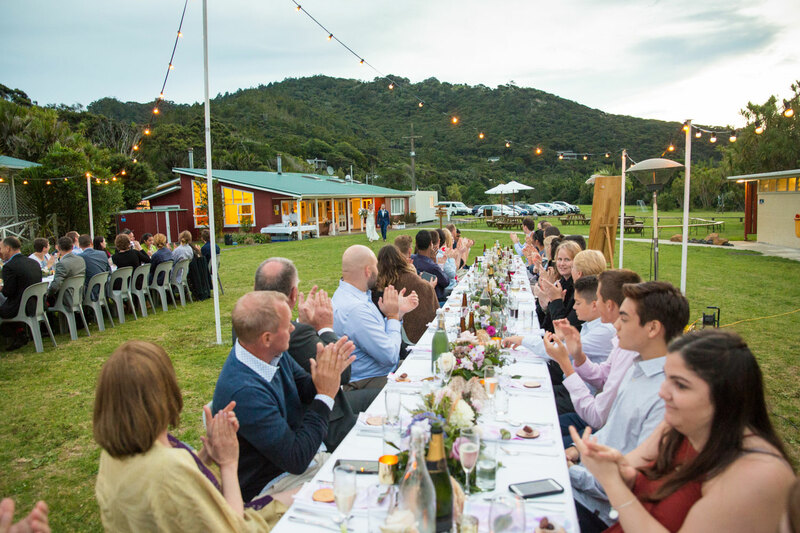 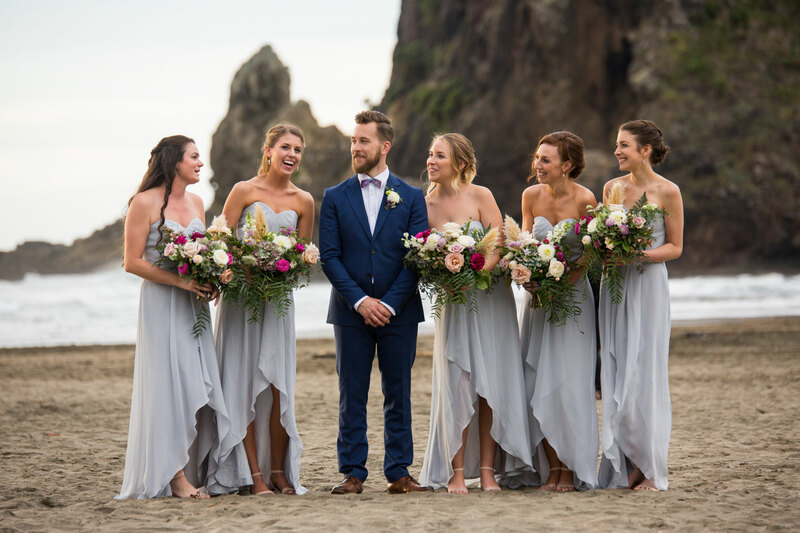 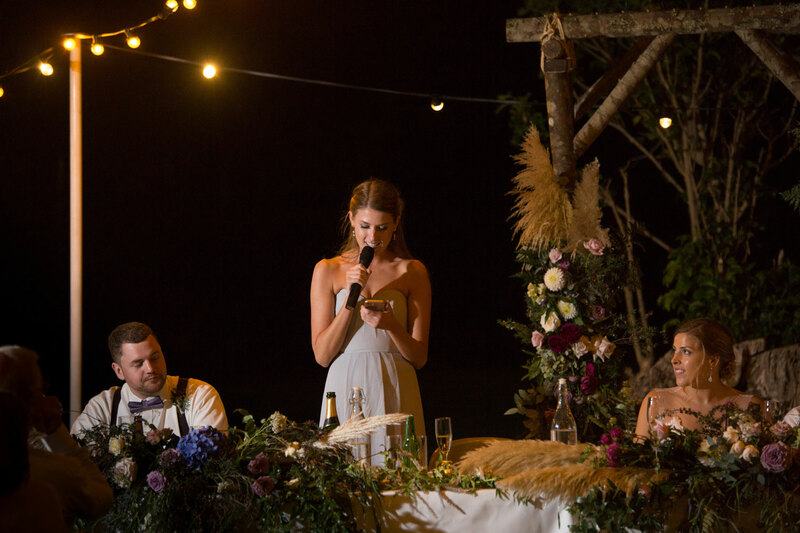 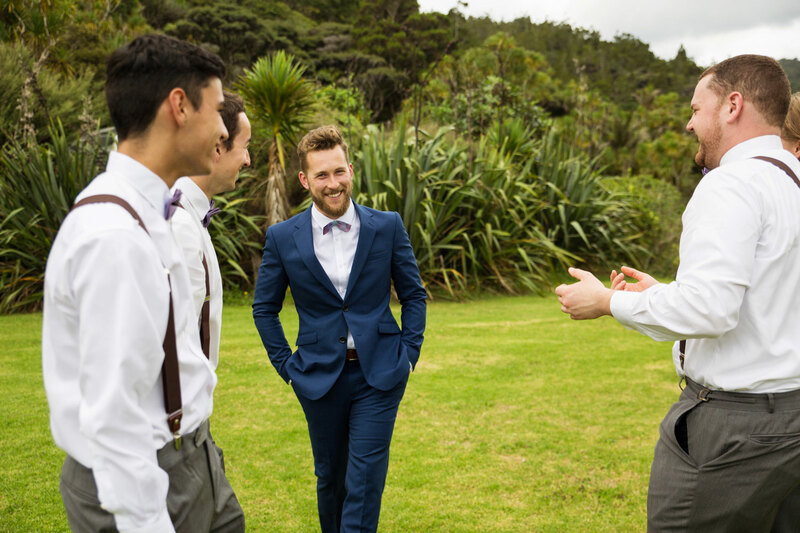 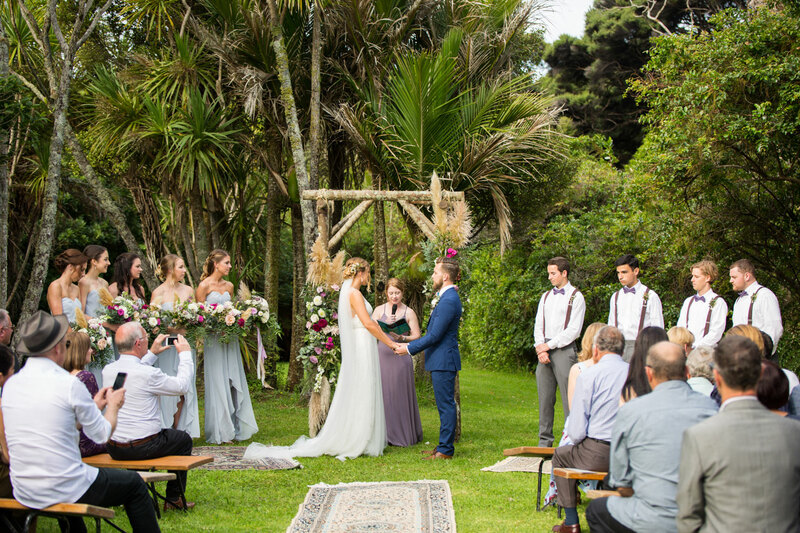 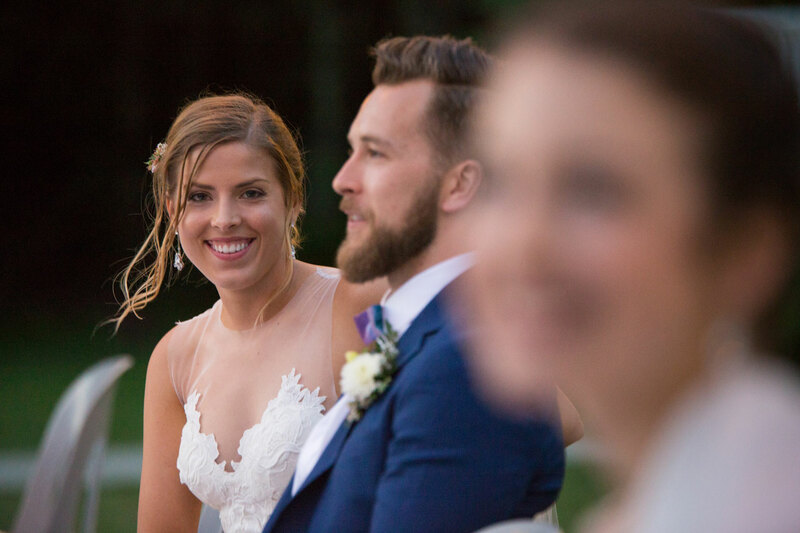 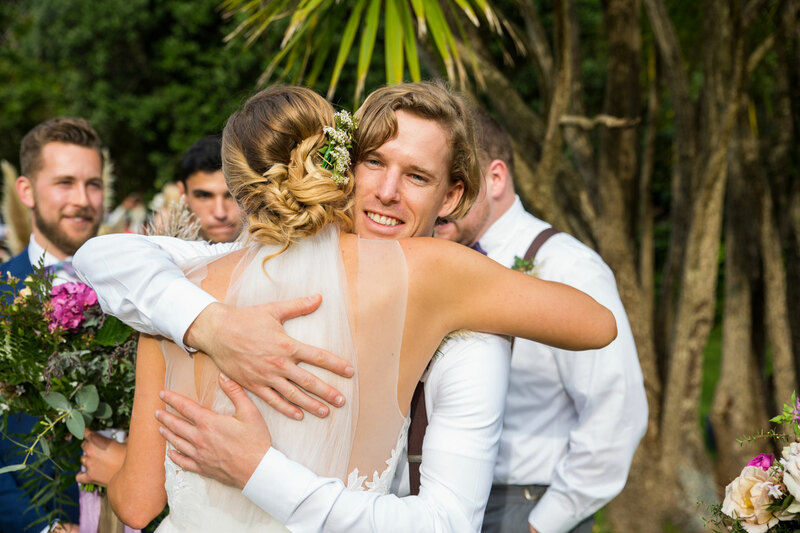 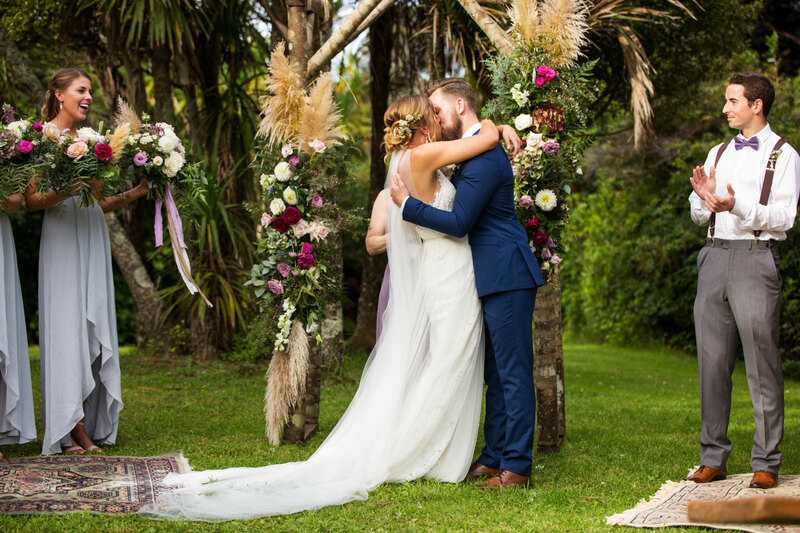 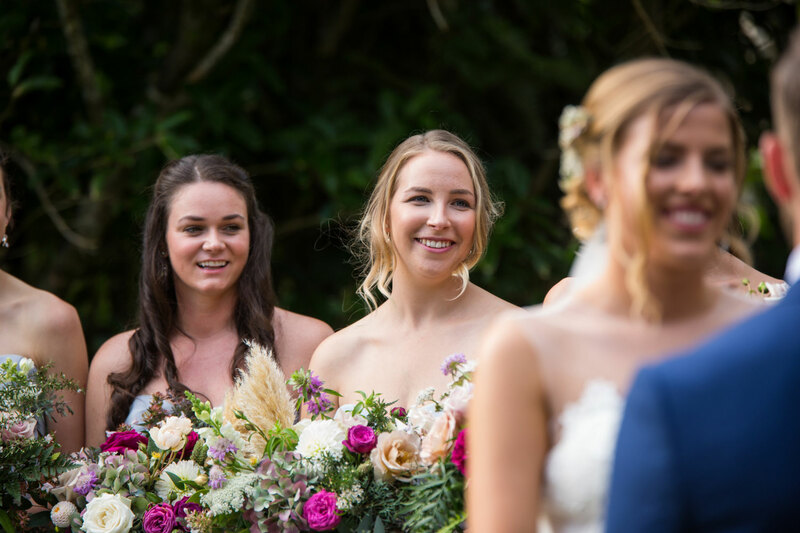 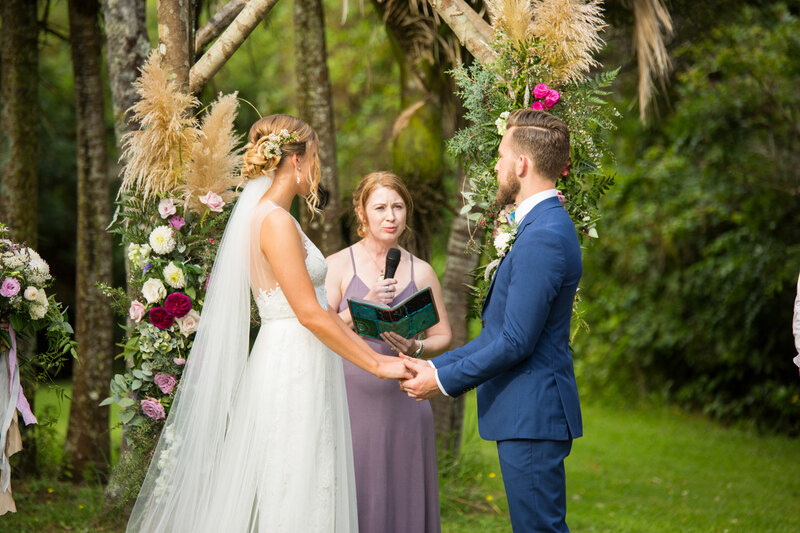 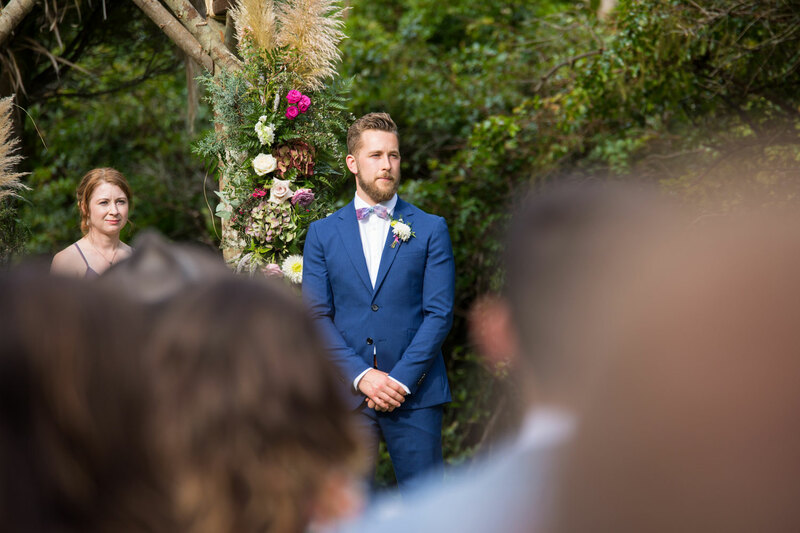 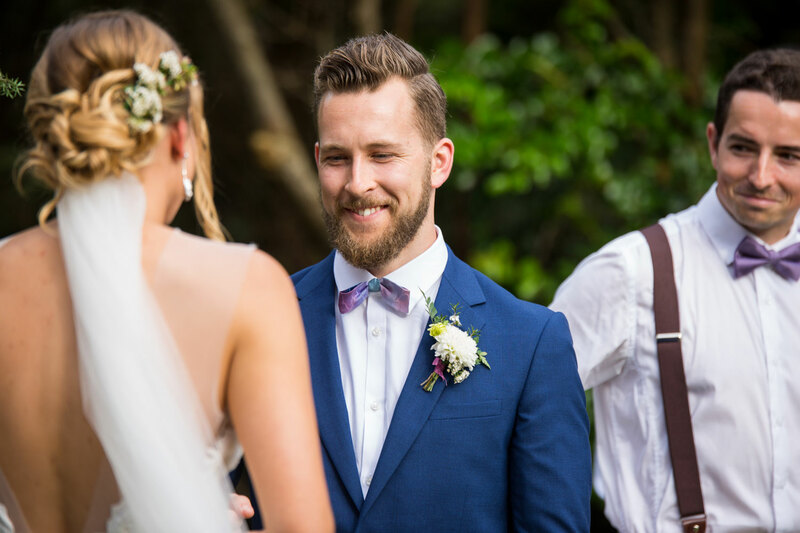 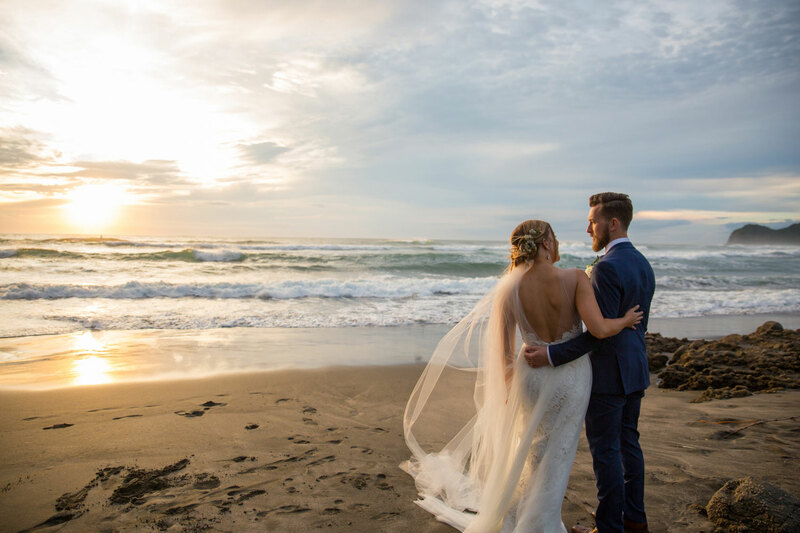 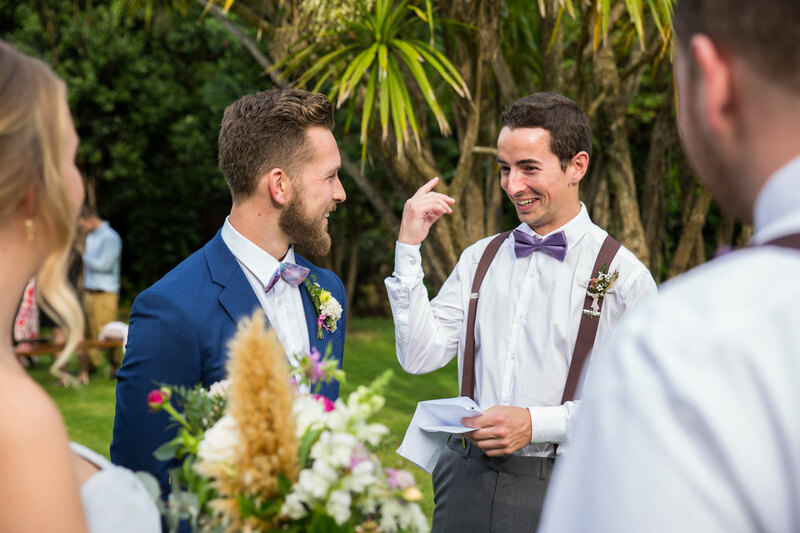 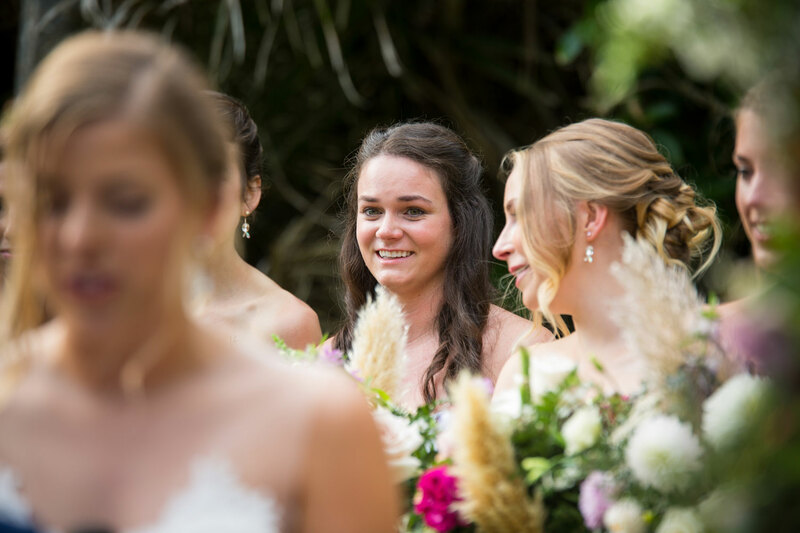 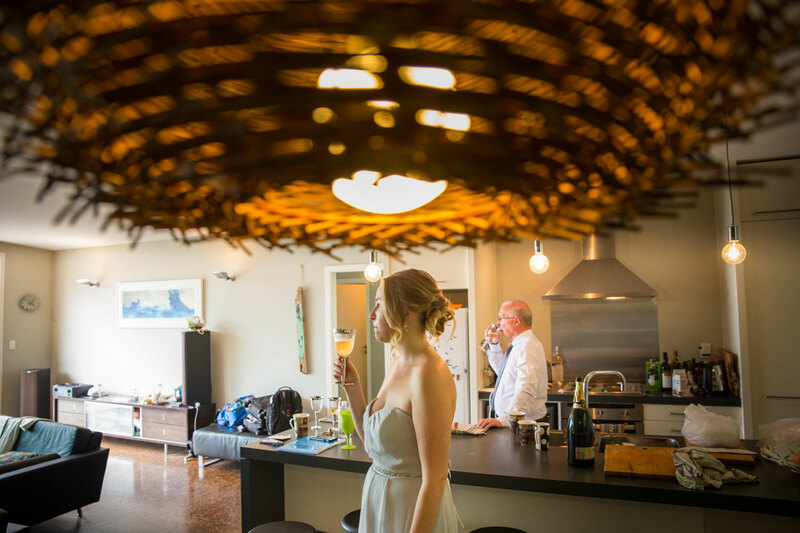 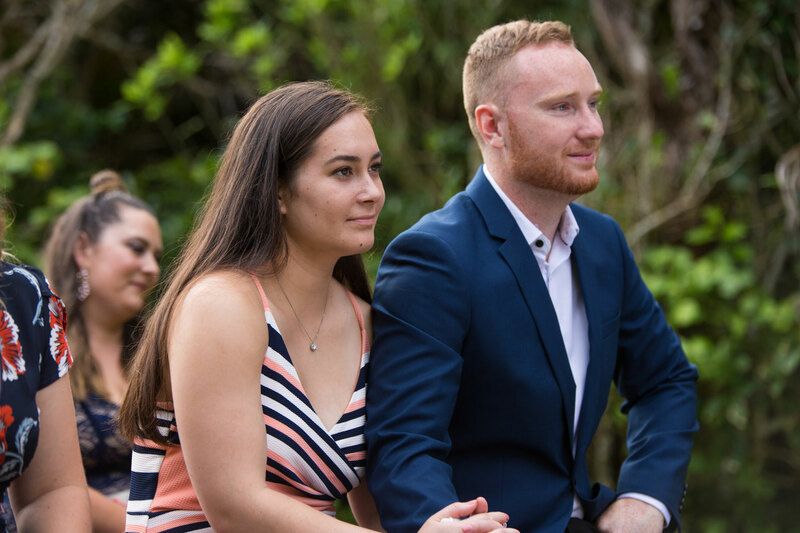 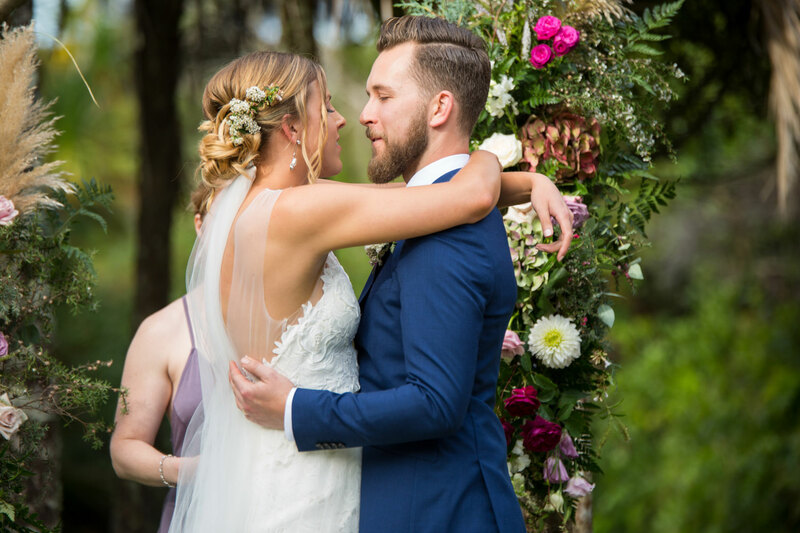 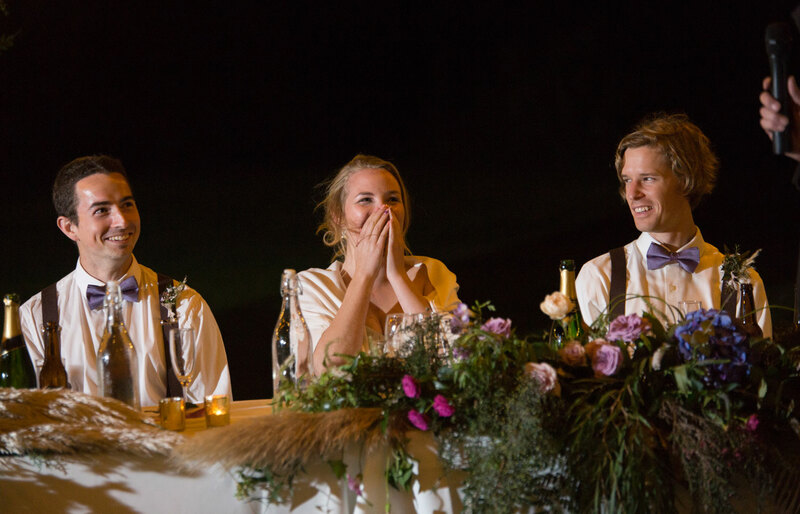 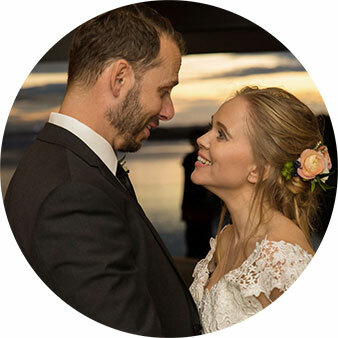 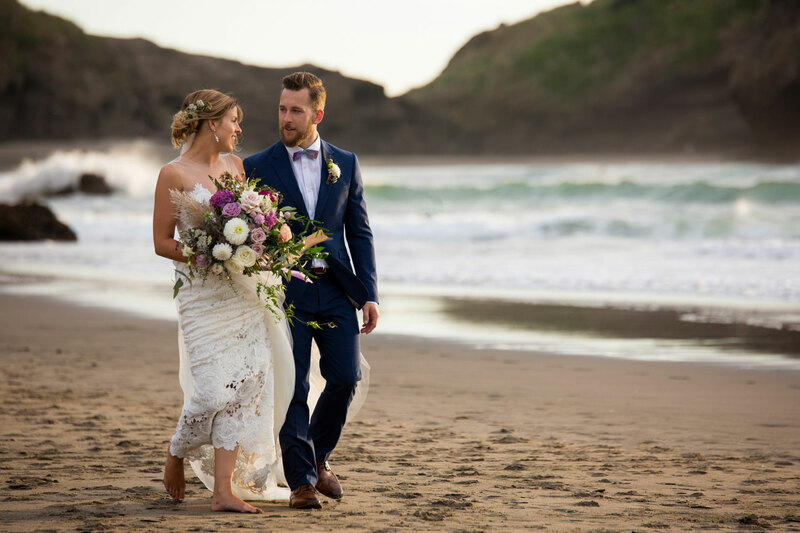 The couple really liked the look and feel of Auckland’s very own Piha Beach, and had chosen to have their ceremony at Piha Mill Camp – just a few minutes from the beach. 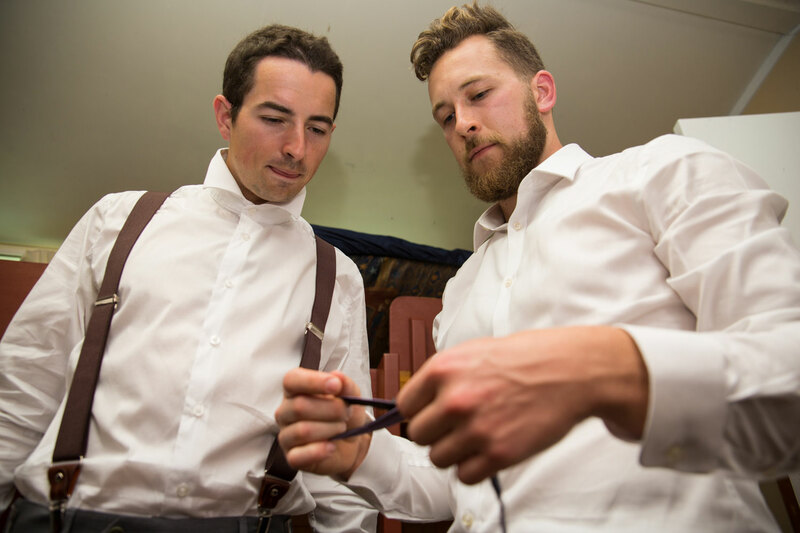 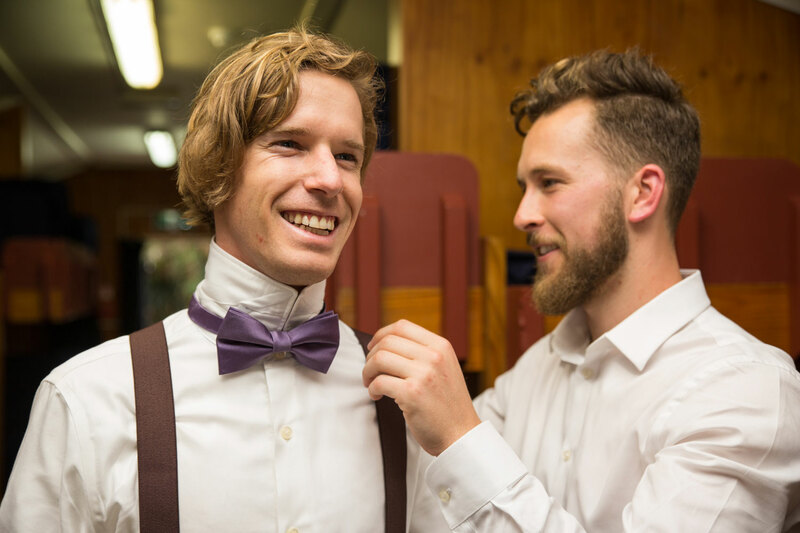 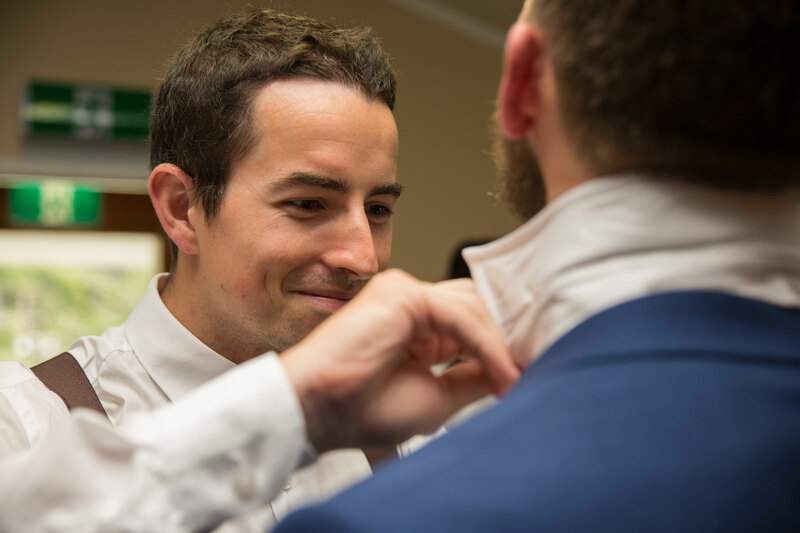 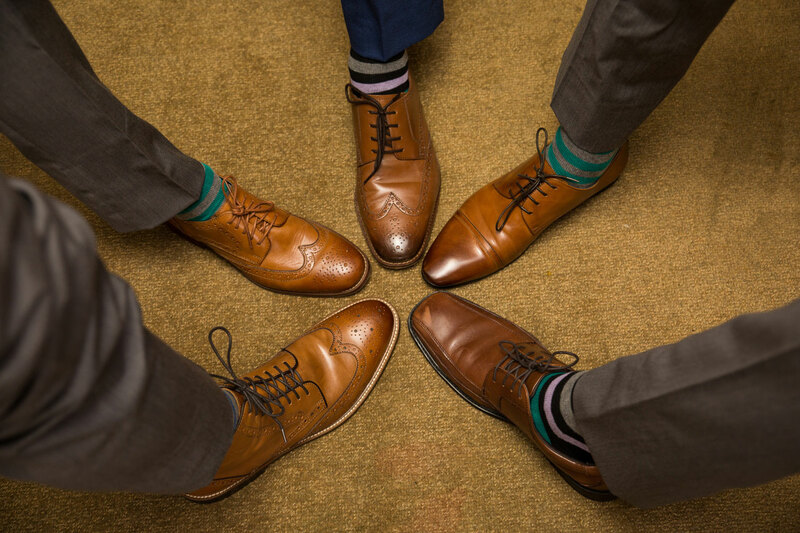 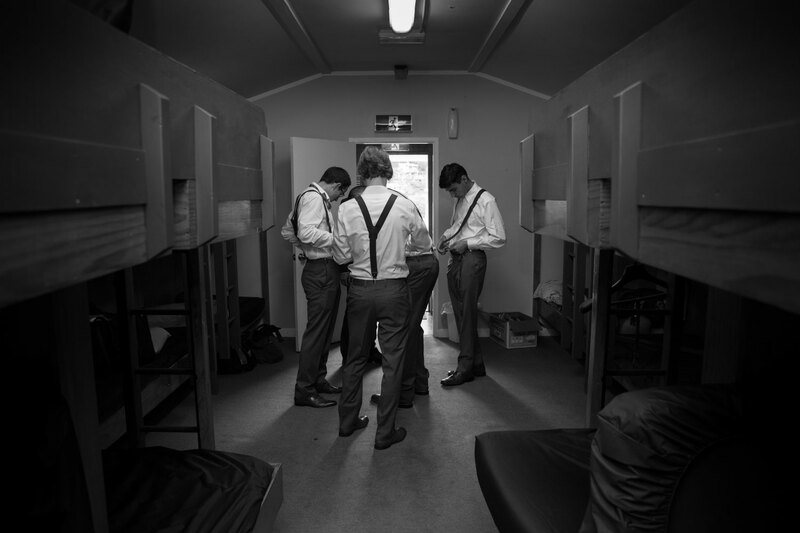 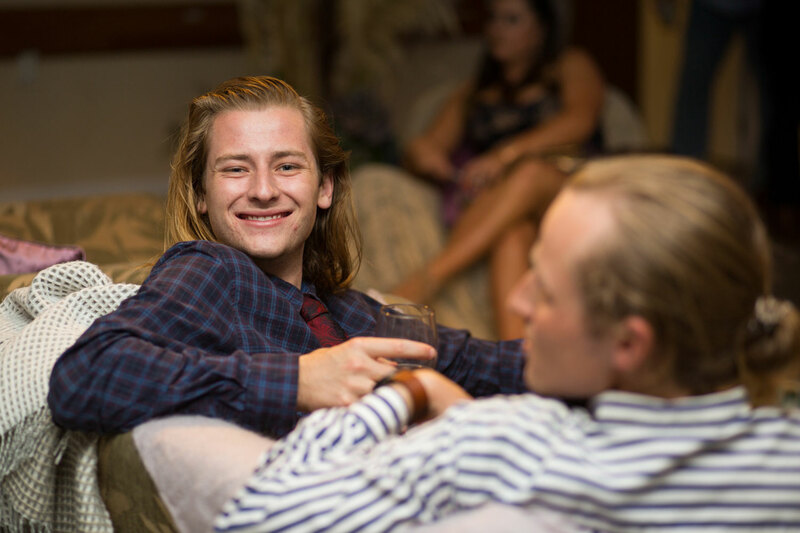 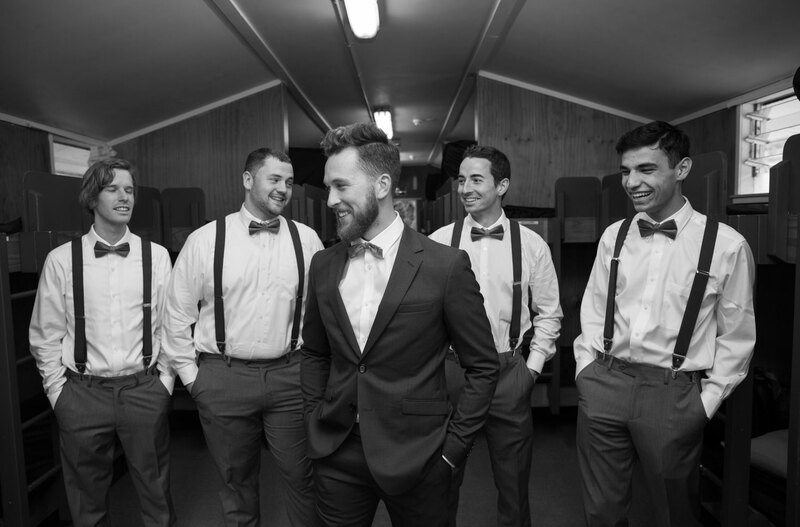 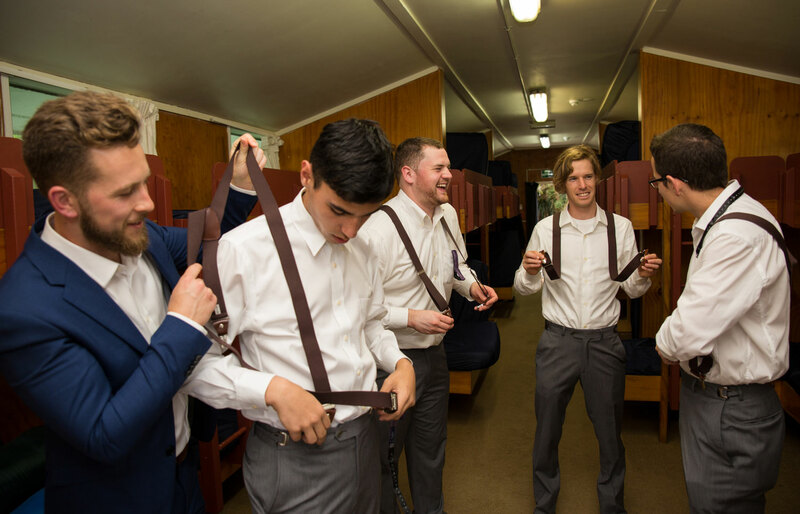 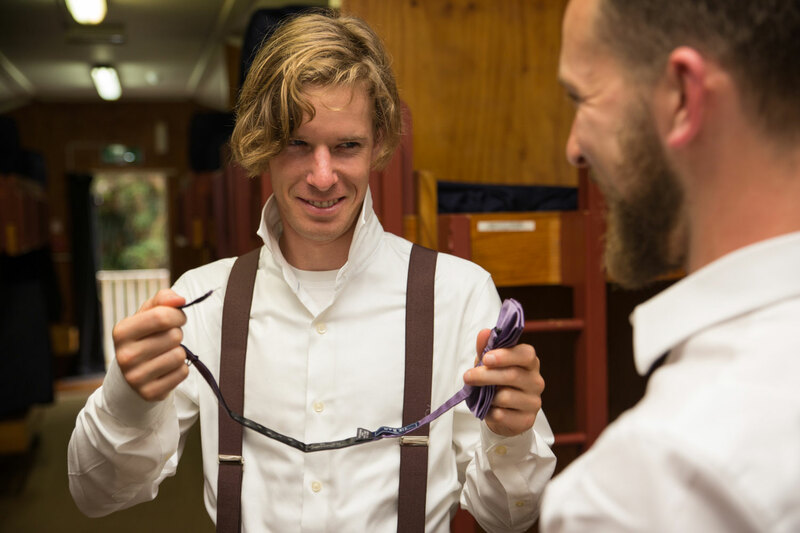 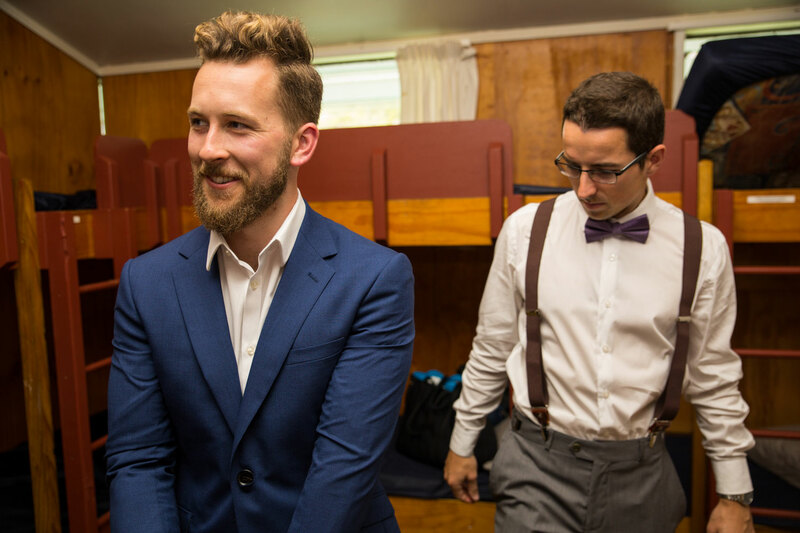 The boys were a joy to be around, never a dull moment during their getting ready! 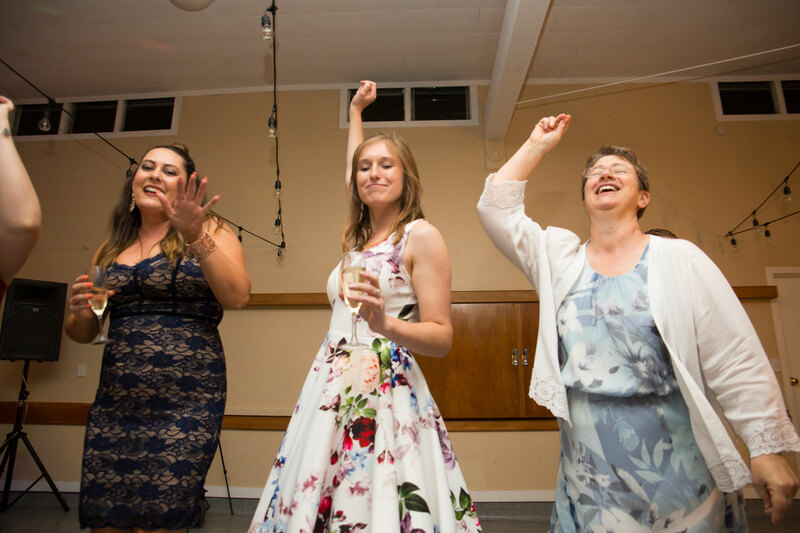 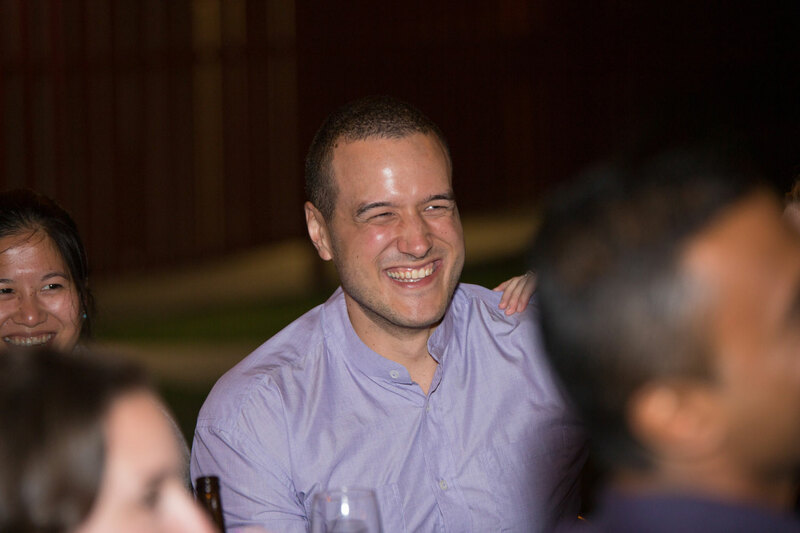 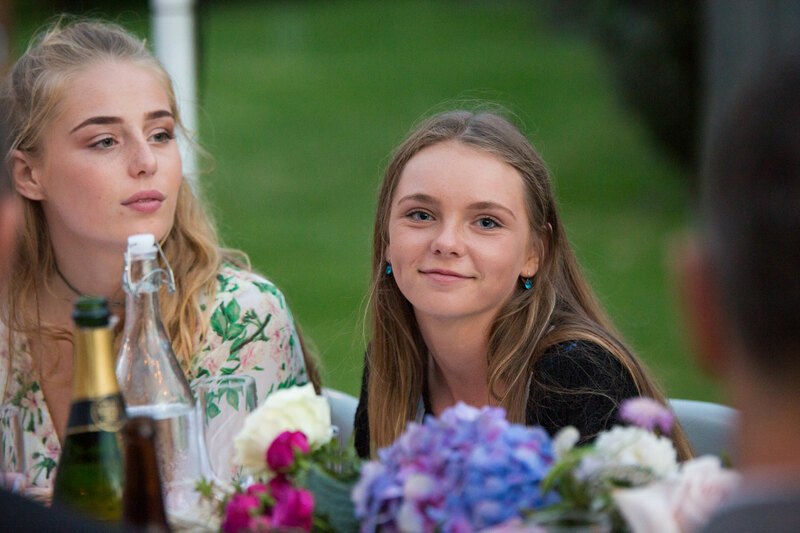 Upon reaching the girls, I heard a familiar song playing in the background – Macarena! 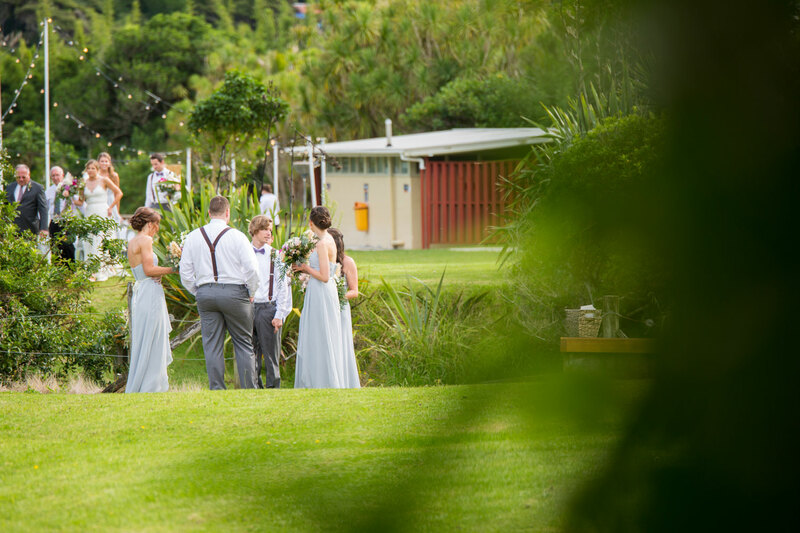 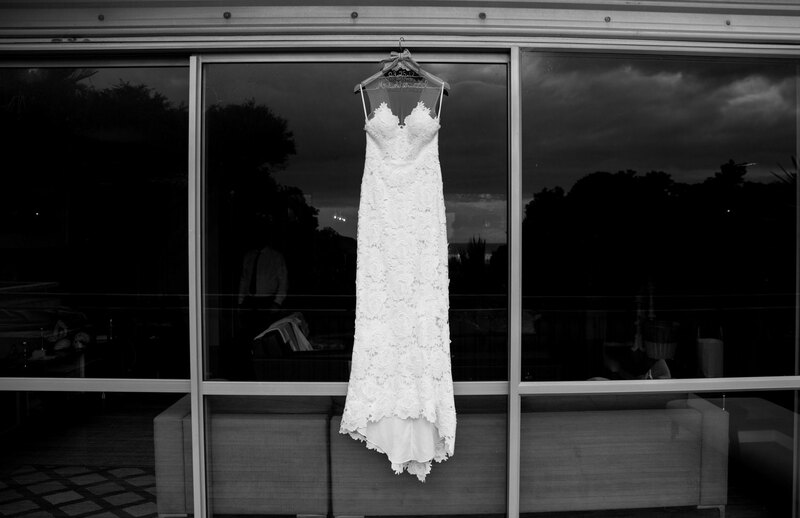 We got some great shots in, then it was time to head for the ceremony venue. 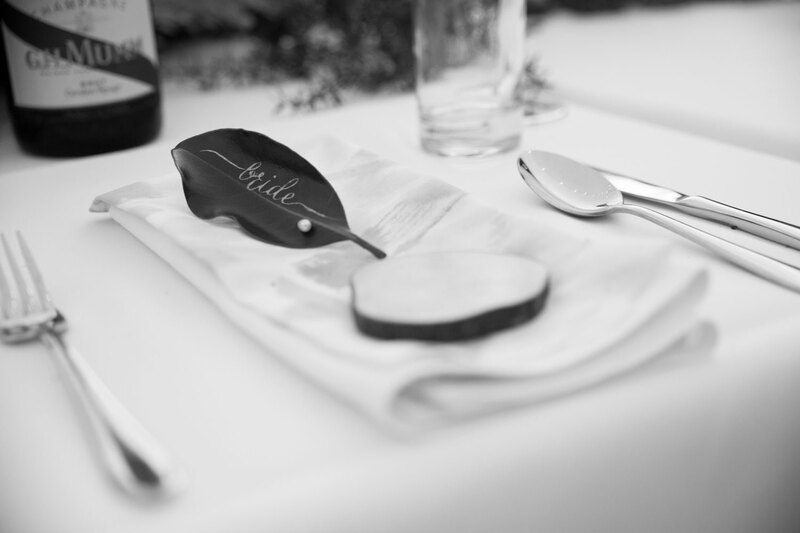 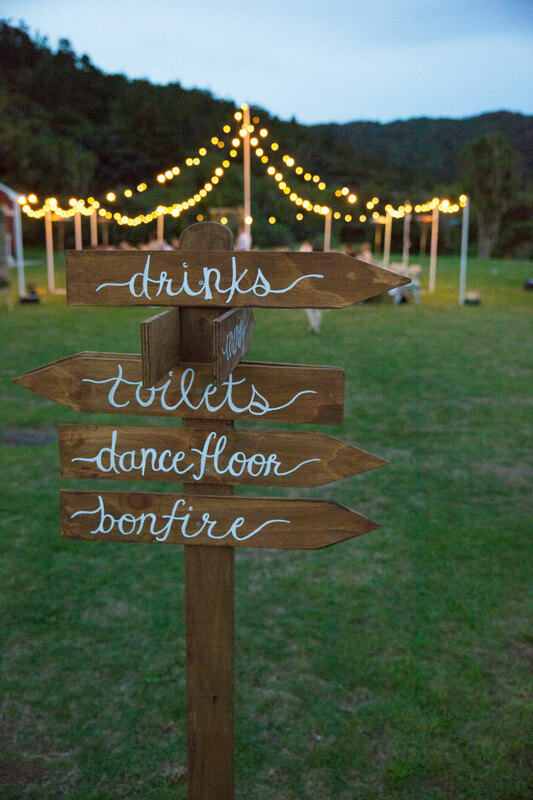 Throughout the wedding, the effort put into the decor and set-up of the wedding could easily be seen. 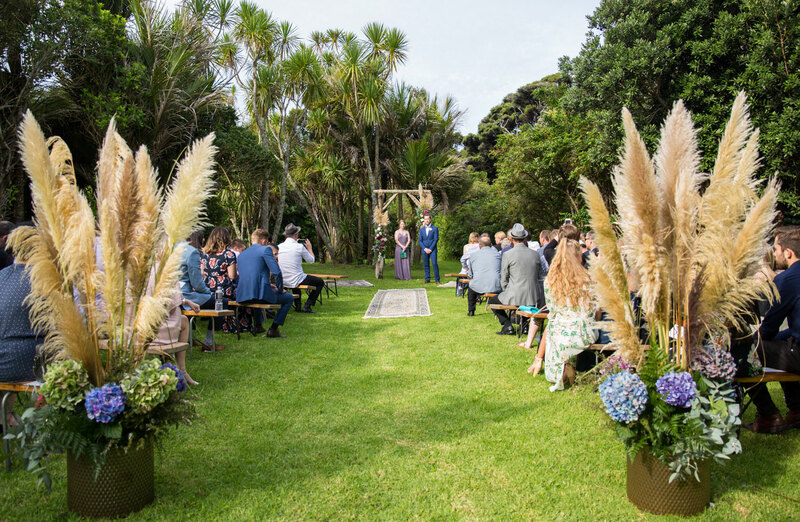 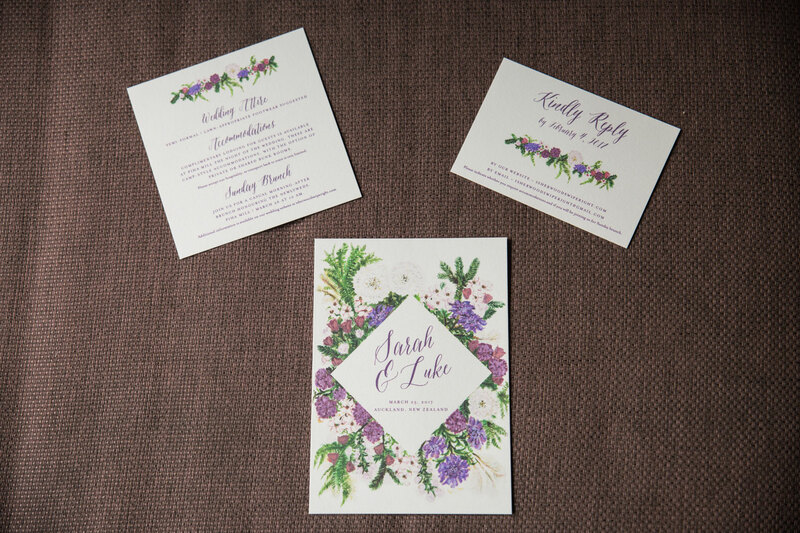 From bouquets to the wedding arch and the table invites, majority of what you see were made by family and relatives! 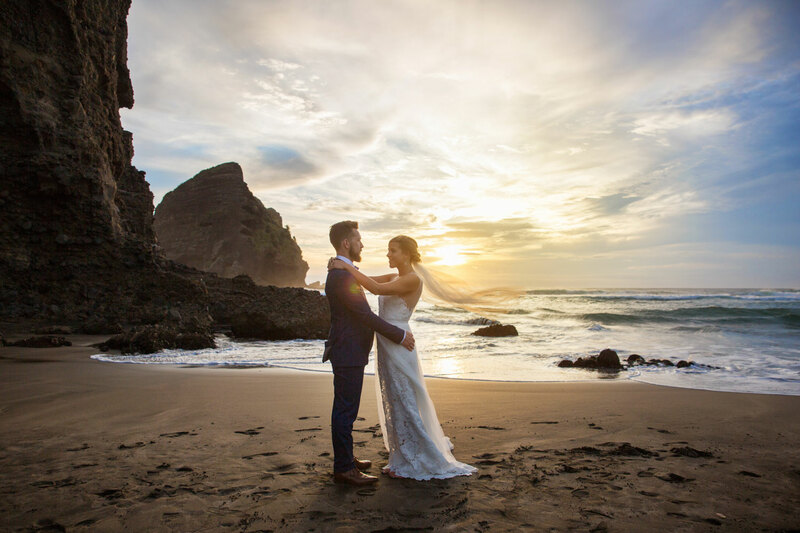 We made our way to Piha Beach for bridal party and couple photos, and as we picked the perfect timing to go, we had a stunning sunset as our backdrop. 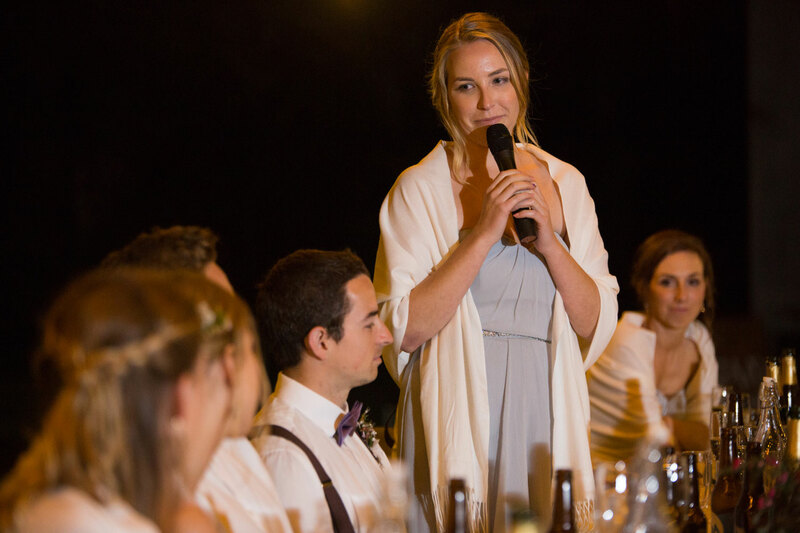 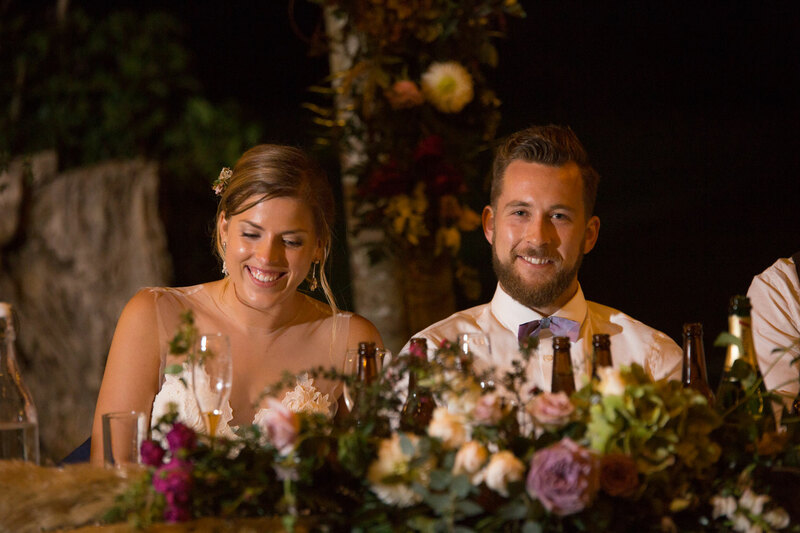 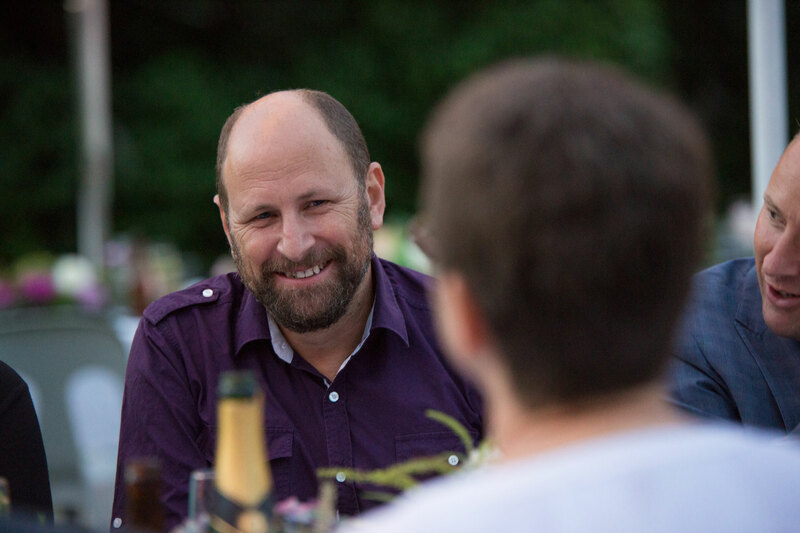 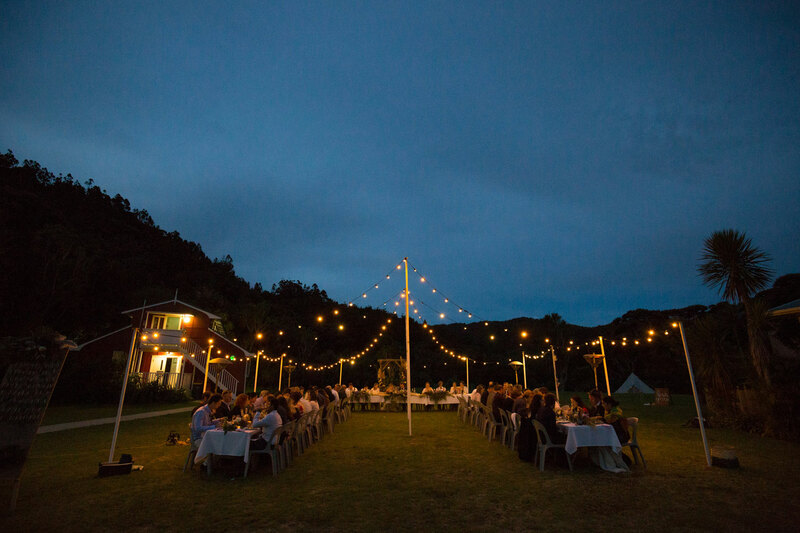 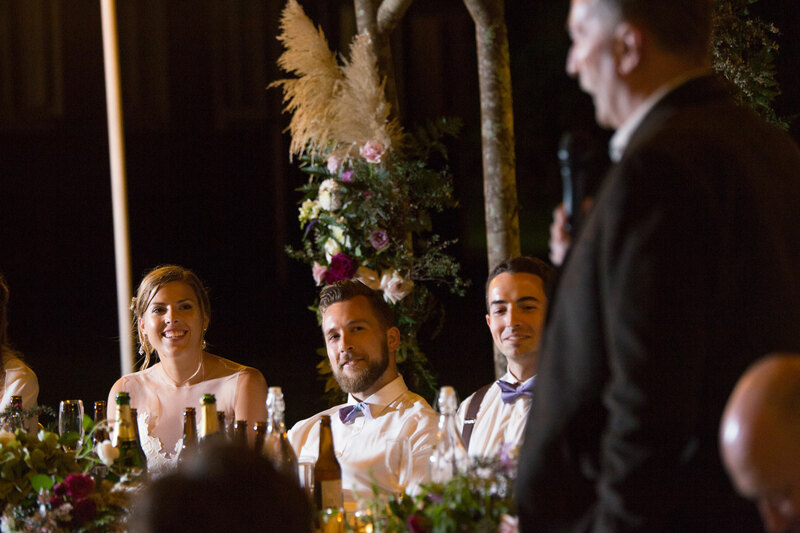 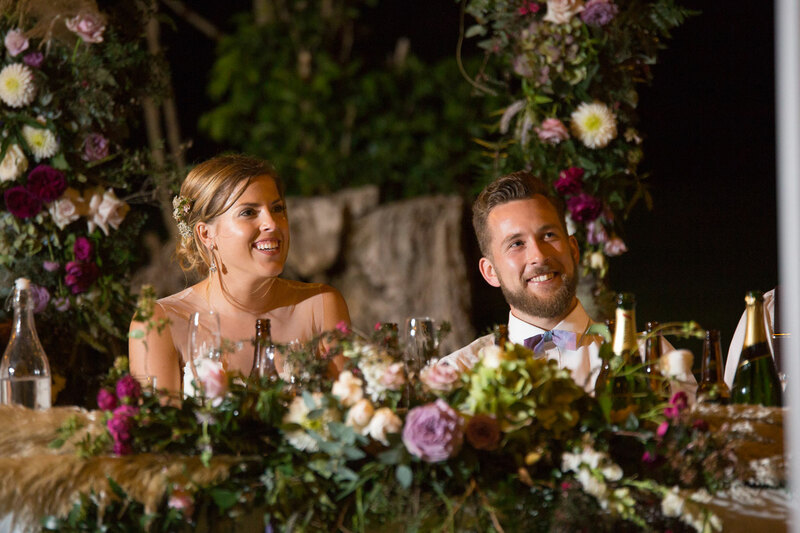 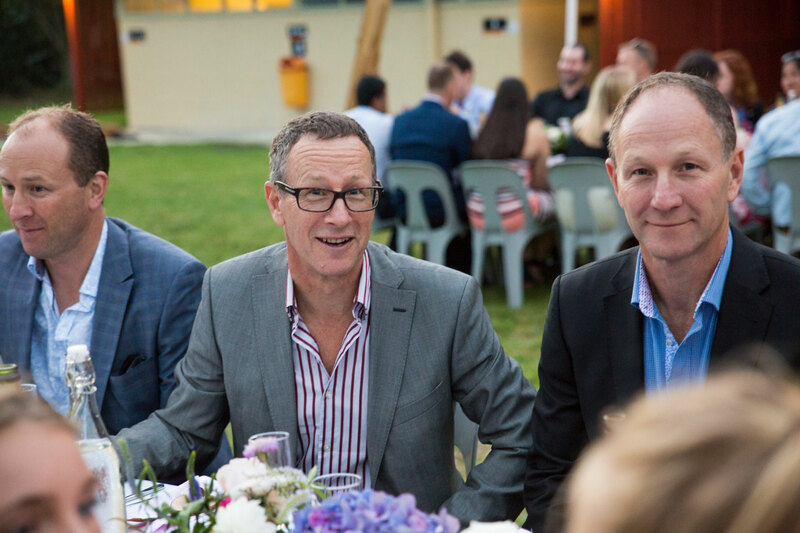 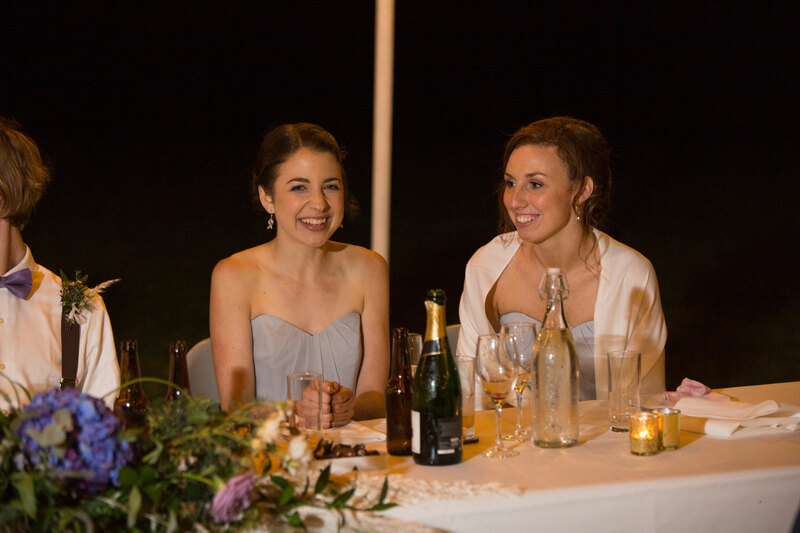 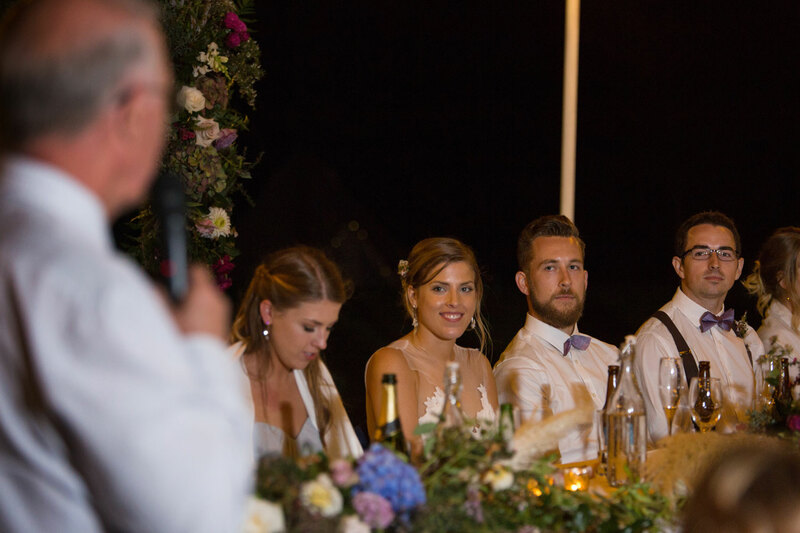 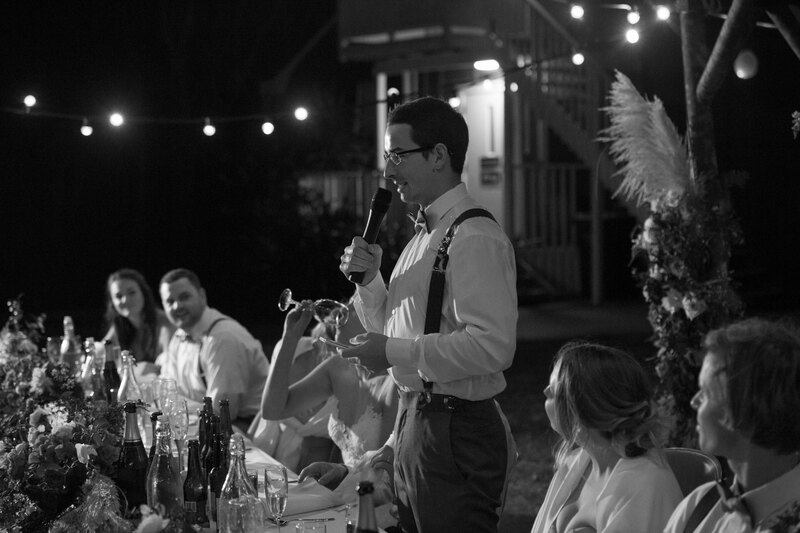 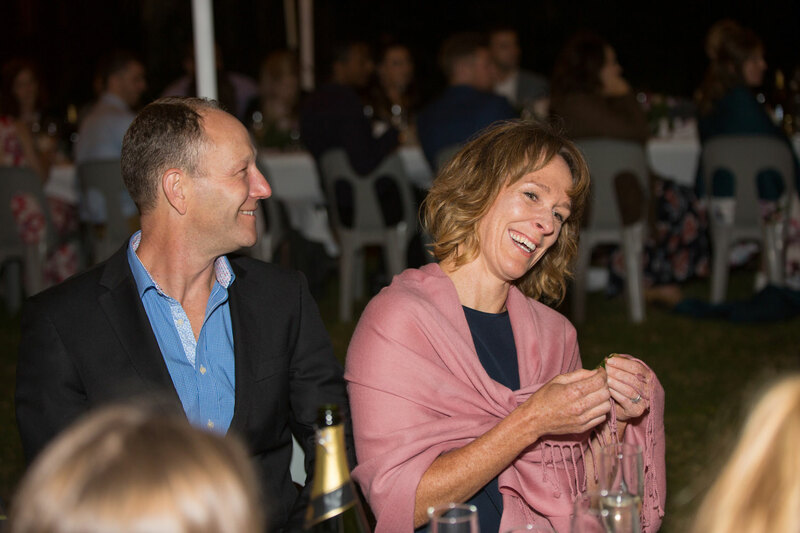 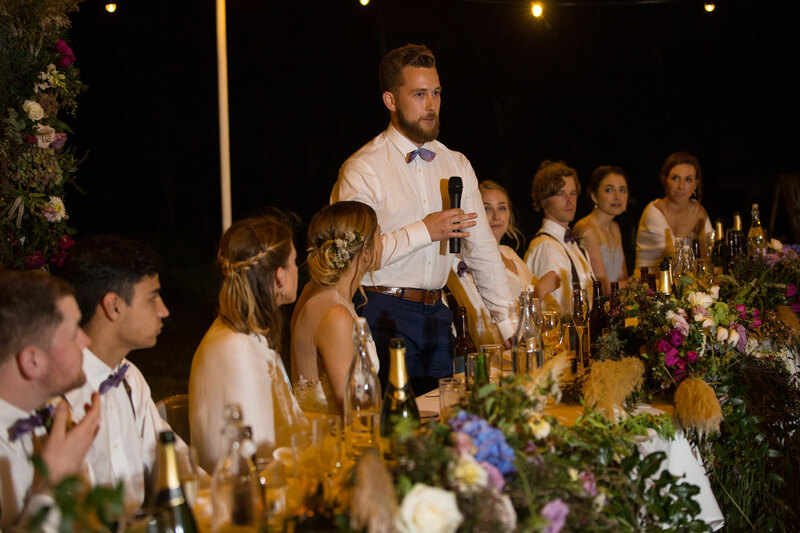 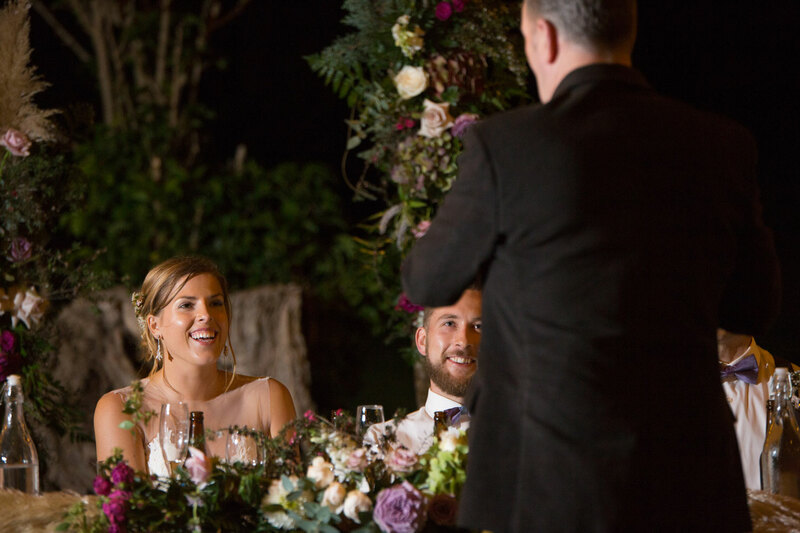 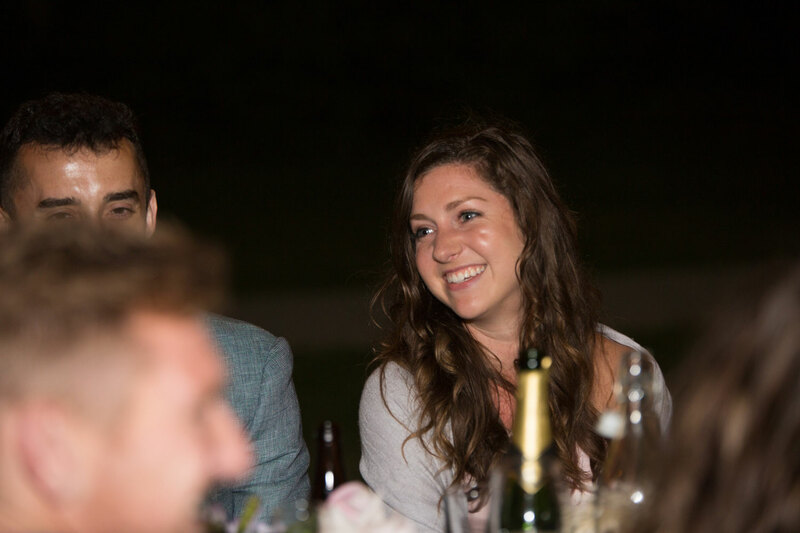 Sarah and Luke wanted an outdoor themed reception, and the guests had dinner under the stars (and fairy lights!). 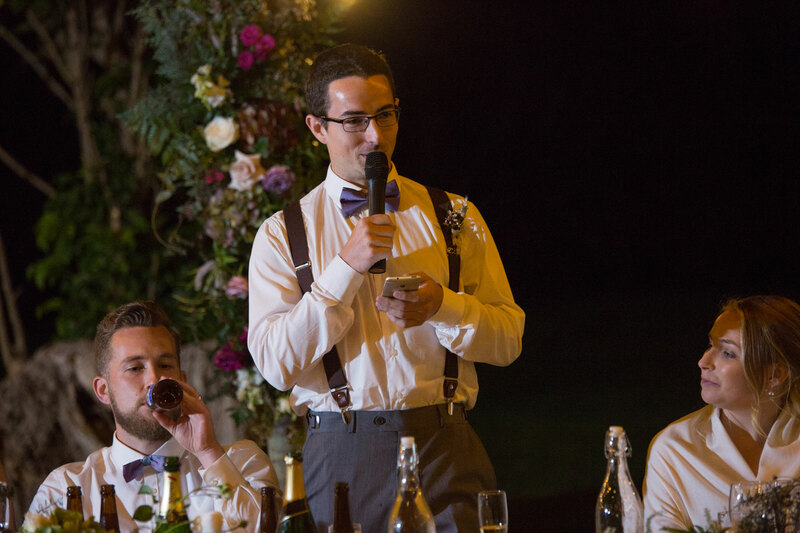 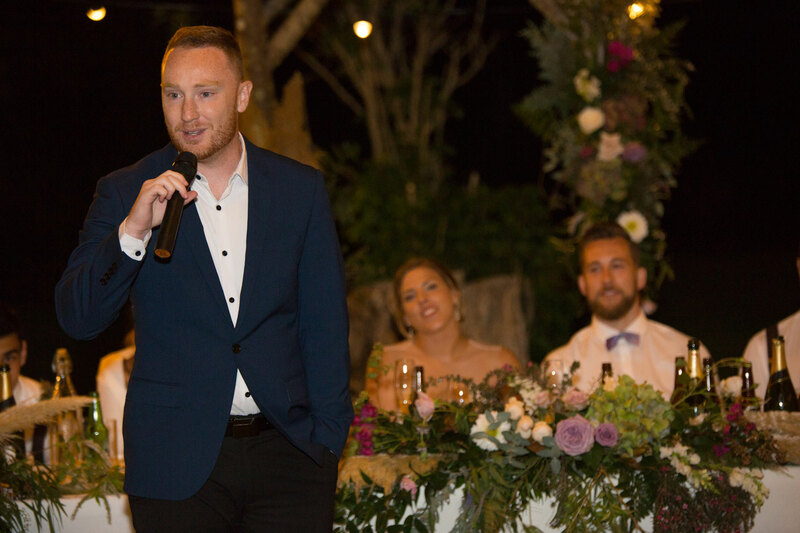 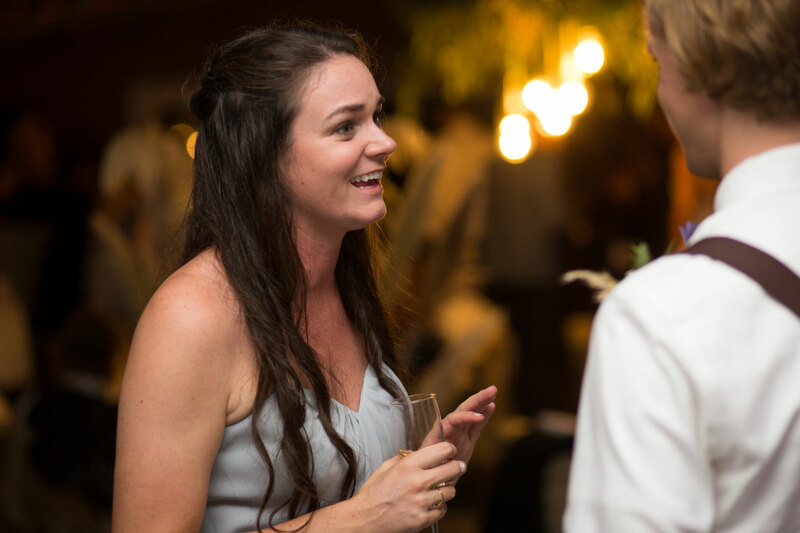 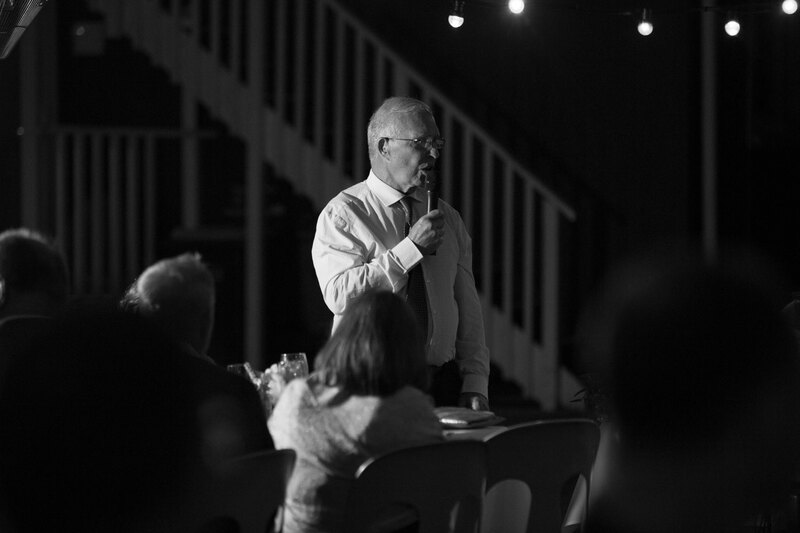 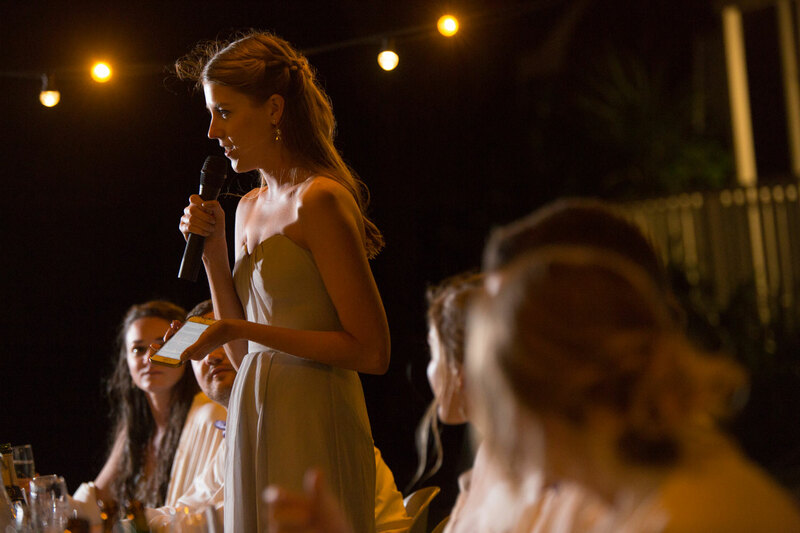 The guests were mainly illuminated by fairy lights that were relatively dim, which emphasized the fact that having ample lighting equipment is so important. 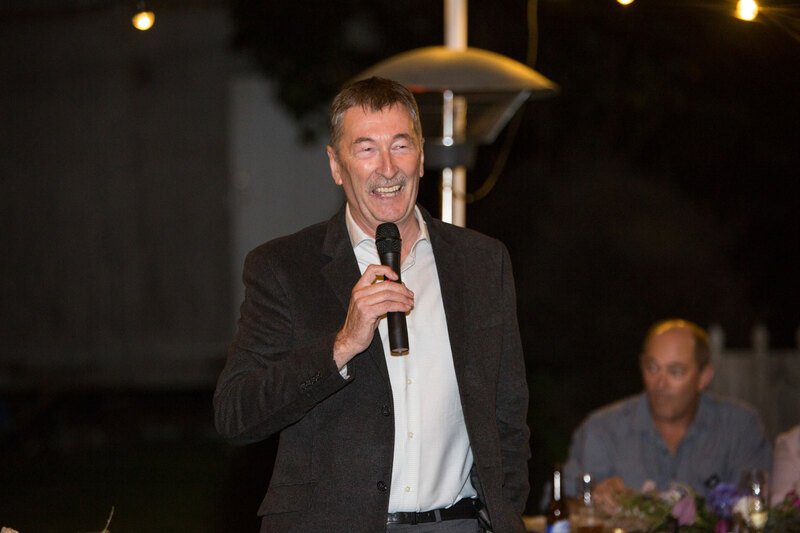 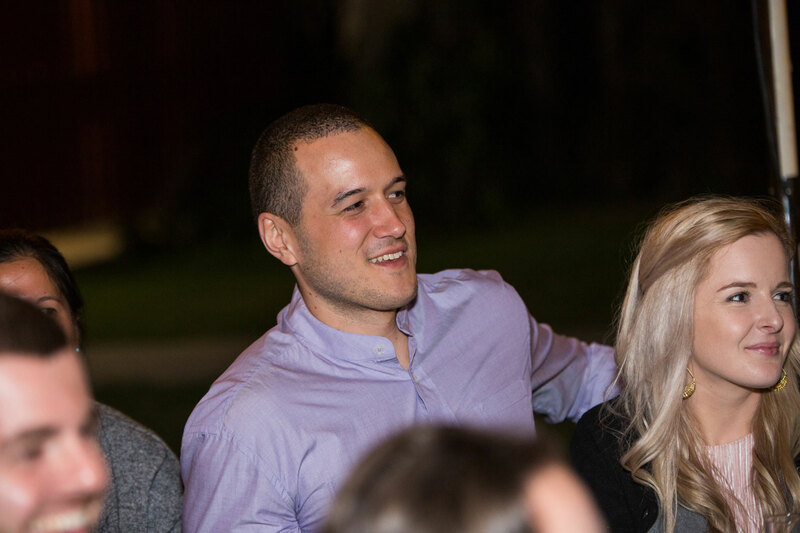 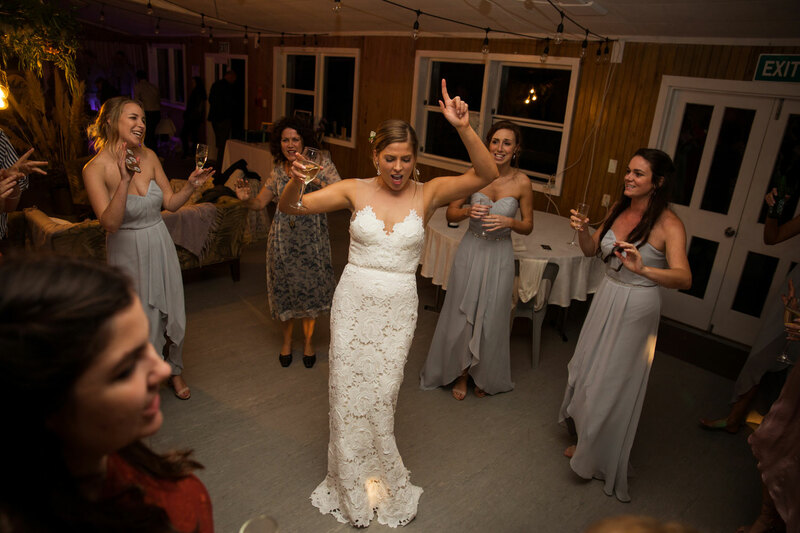 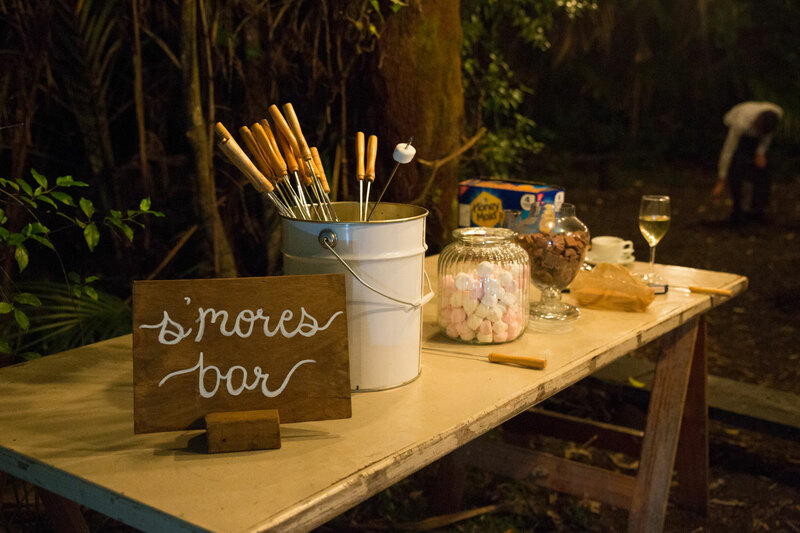 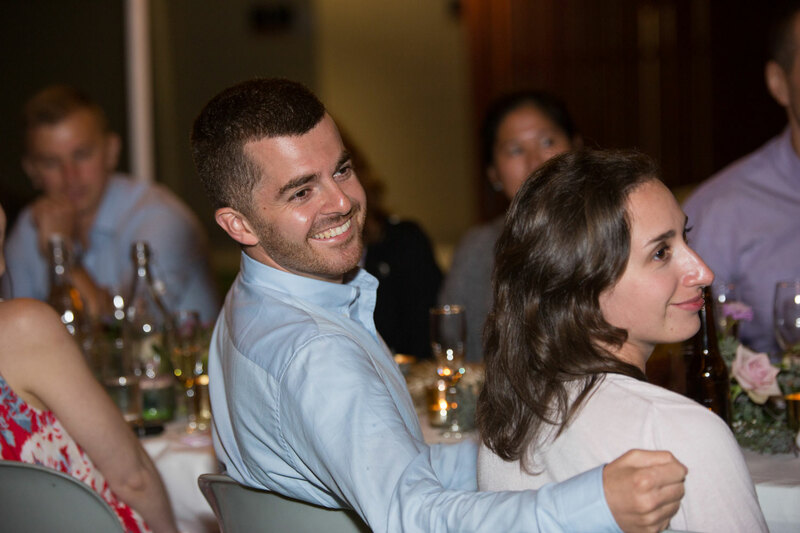 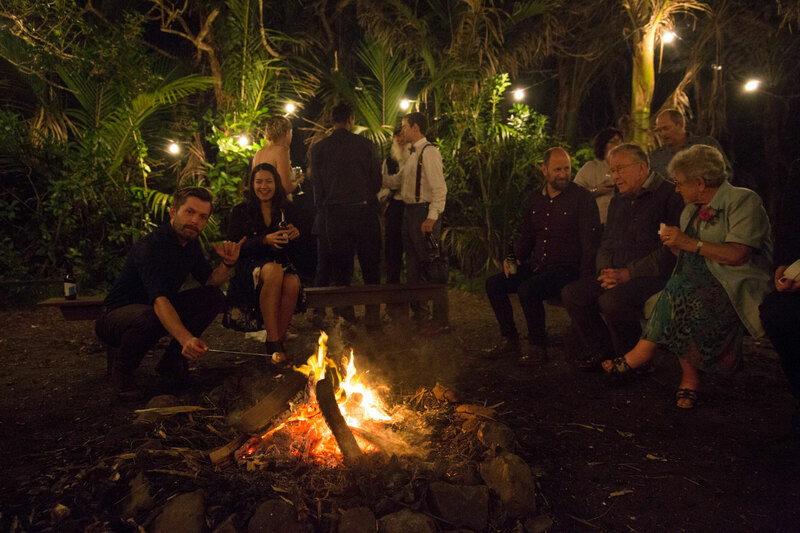 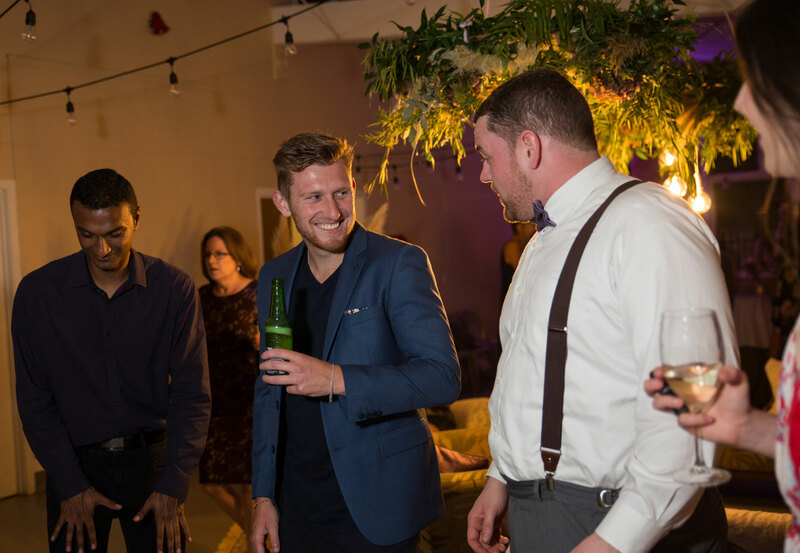 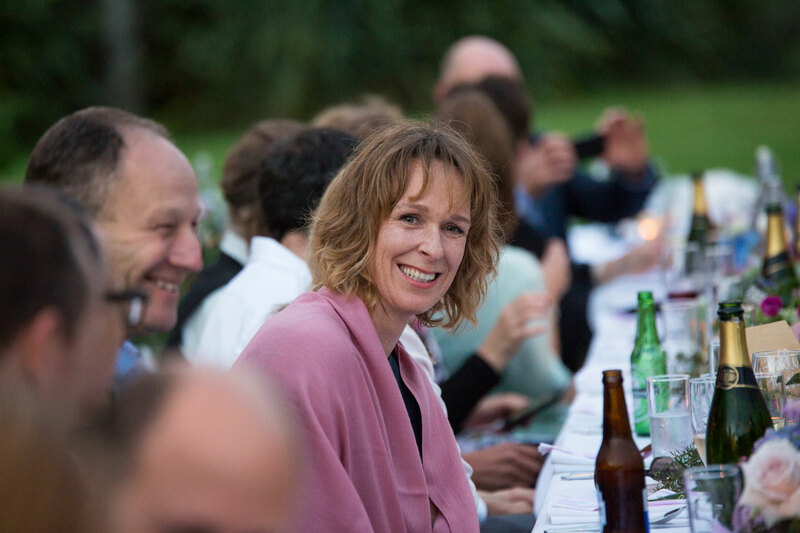 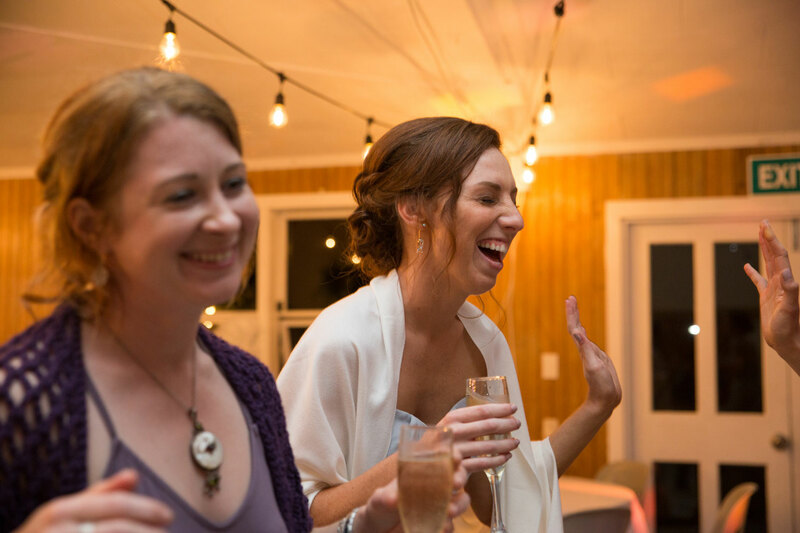 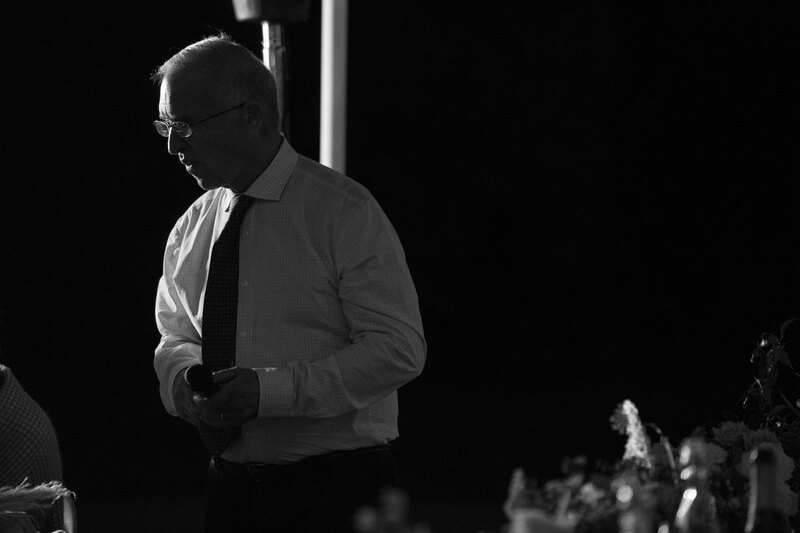 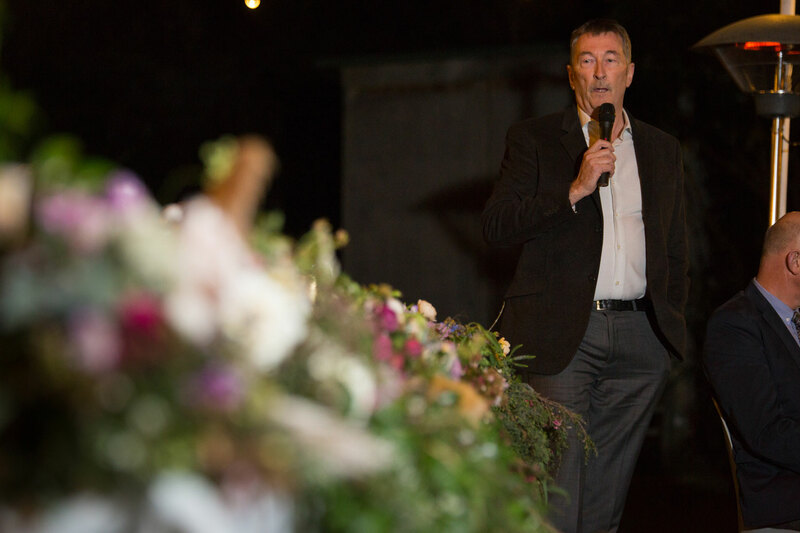 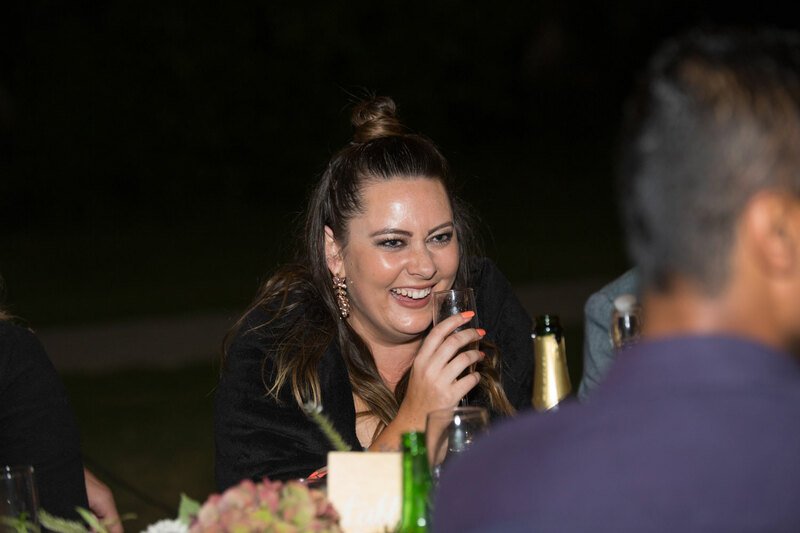 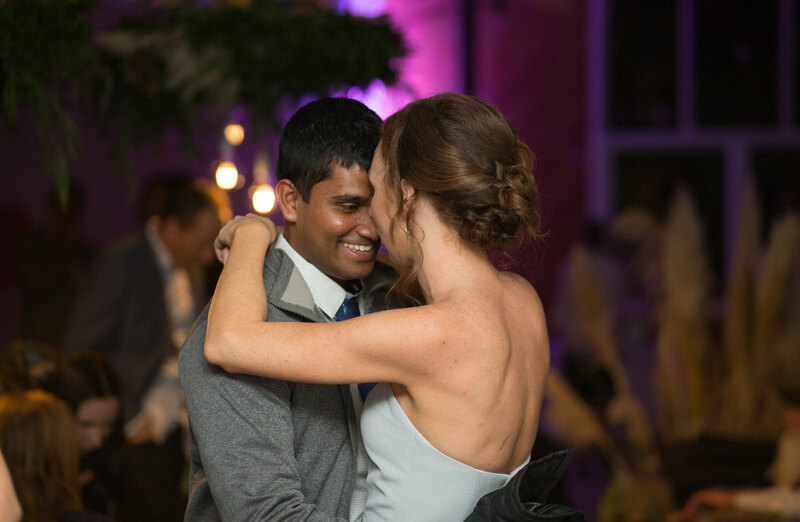 The guests were treated to music, a dance floor, and even a bonfire and marshmallows! 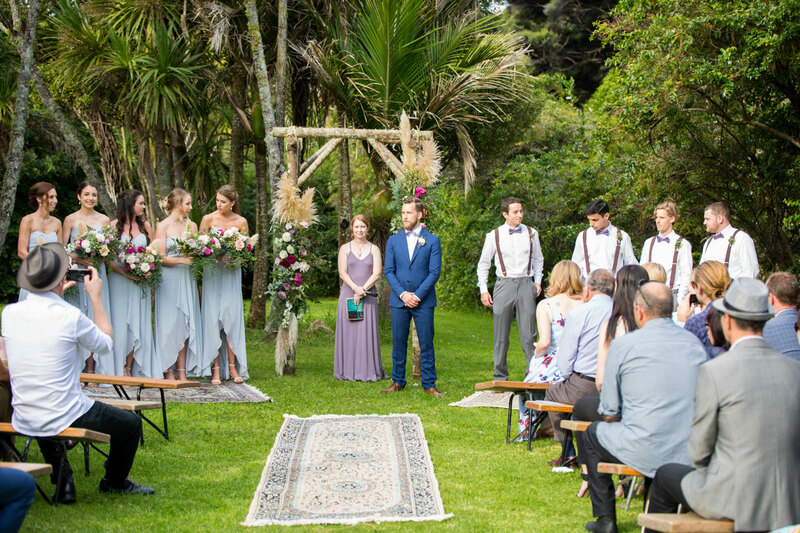 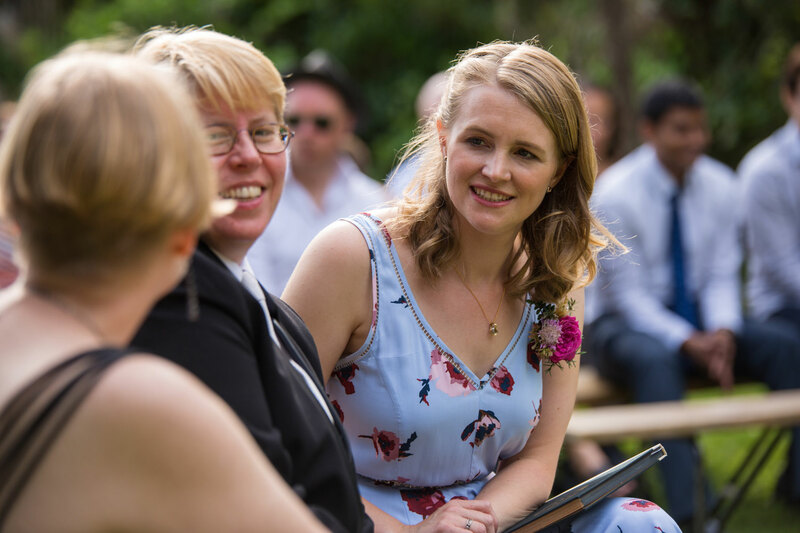 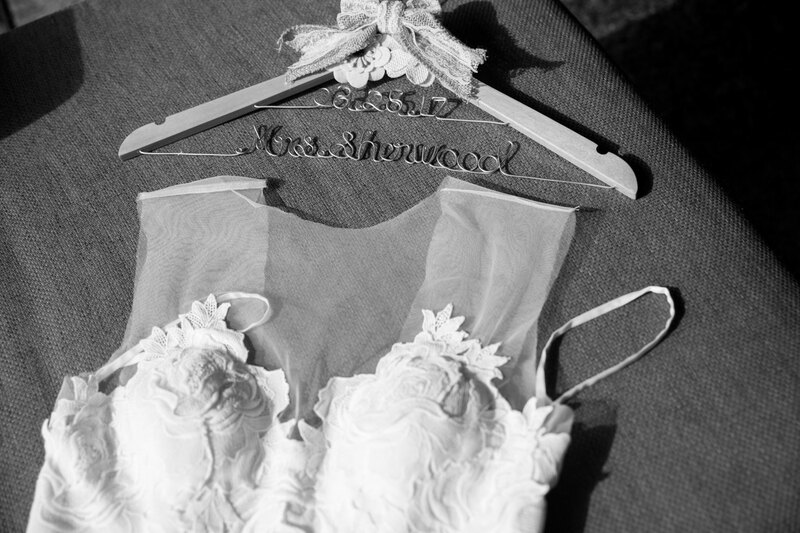 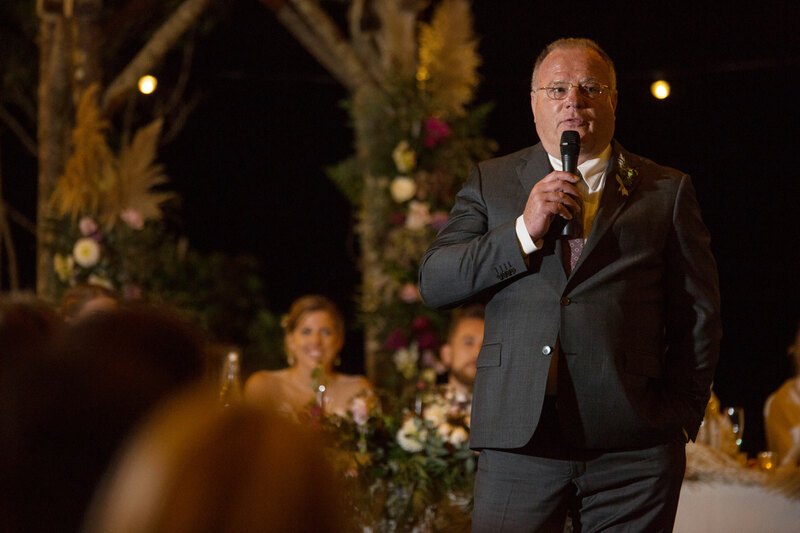 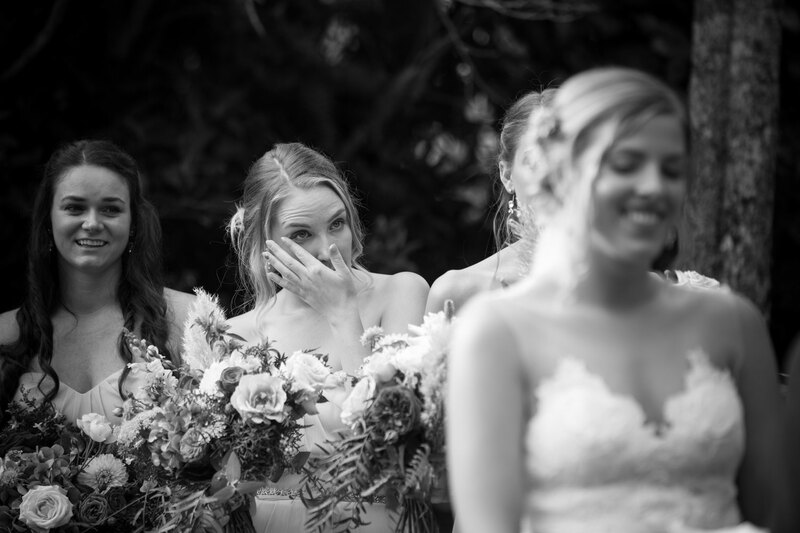 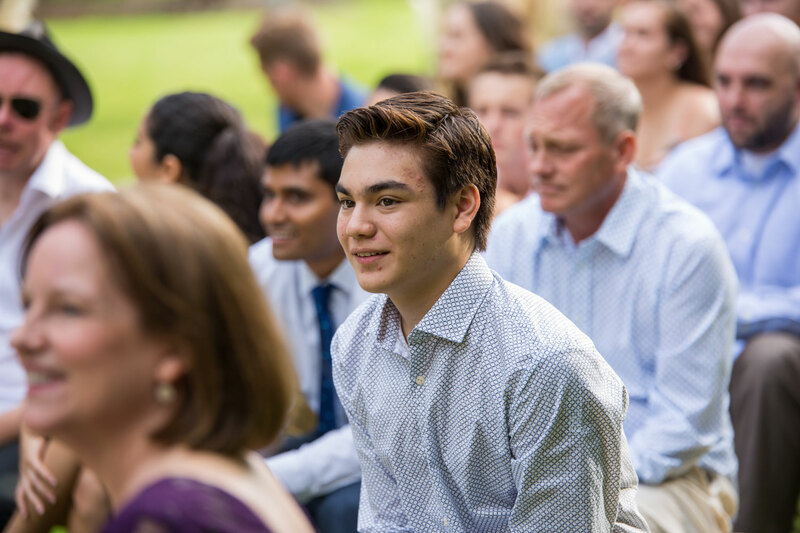 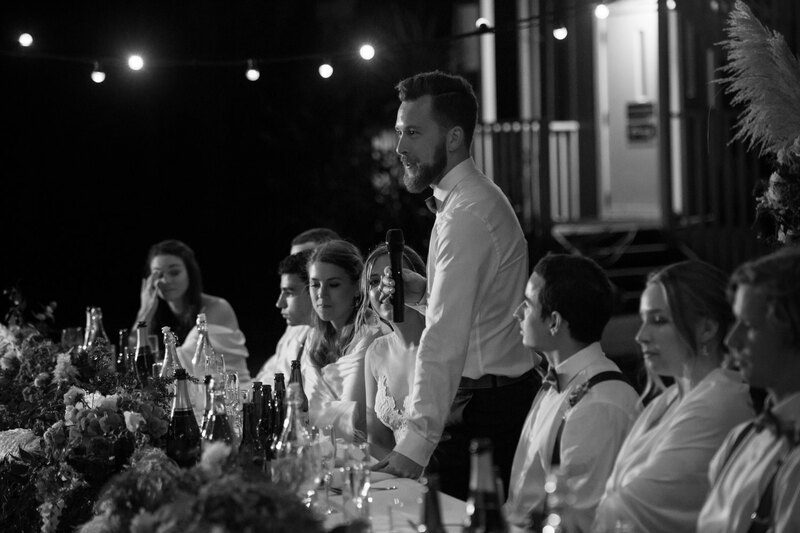 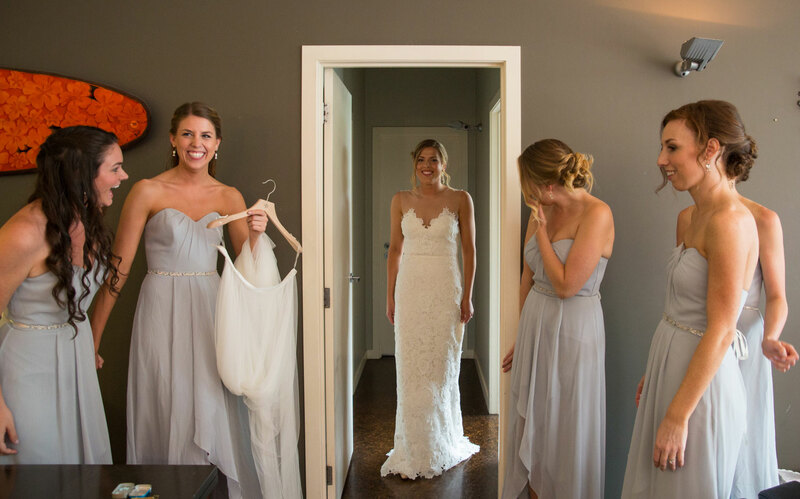 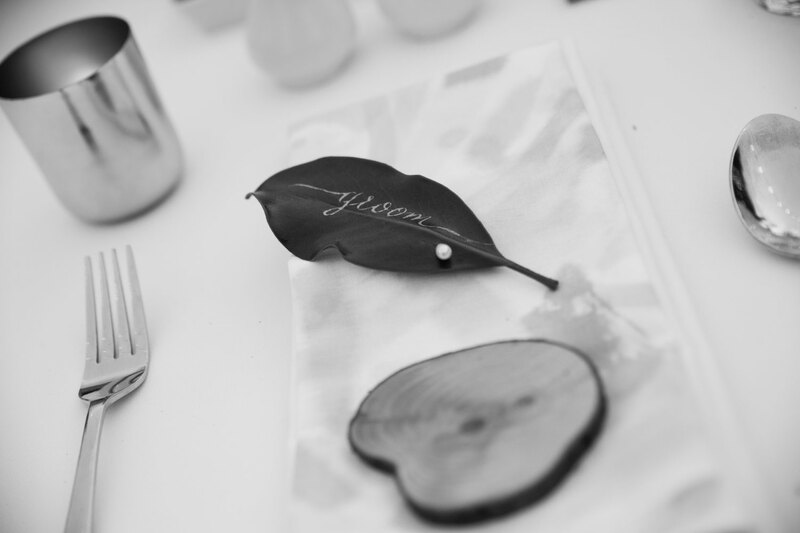 An outstandingly planned wedding, but more importantly a wedding that was truly ‘them’.